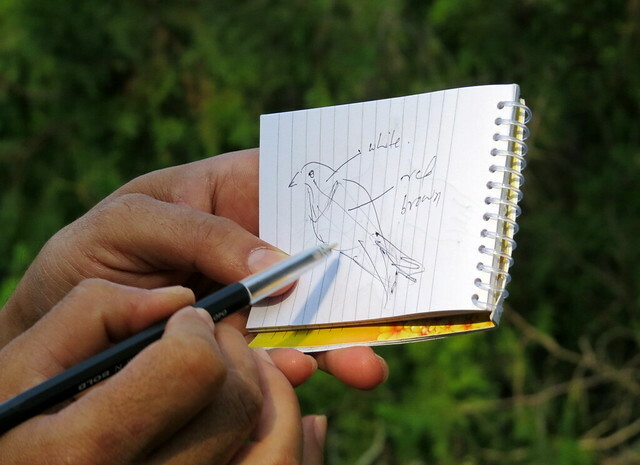 To you, and the many people who have written to me ( and to those who, I realize, may not have written but have still read my bird walk reports…because I recently got a query from someone asking where my writeup was !). Thank you for your kind words. I used to see terse bird reports (not everyone has the time to write!) which went like this: “I went to X place. I saw..” followed by a very interesting list of birds. This always left me thinking about what the person did before, between, and after those bird sightings, and during them. 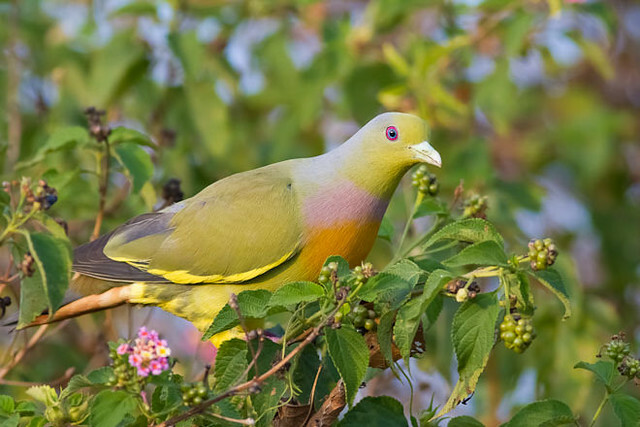 Was there disappointment at not seeing a bird, or a thrill at seeing an unexpected one? 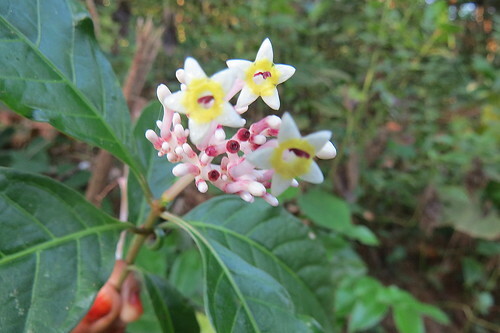 Did they pant in the heat, shiver in the cold, or drip in the monsoon rain? That’s when I started writing “with the details”…I hope you are enjoying what I write, as much as I enjoy writing it! 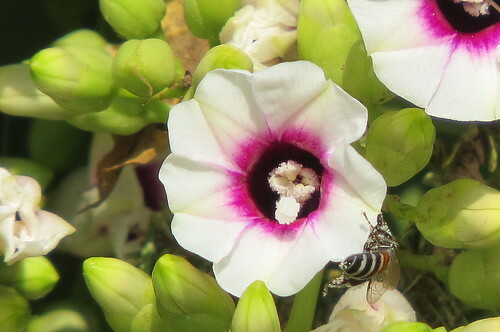 Bangalore may have entered grishma ritu, but in the open spaces, such as Lalbagh, it’s still quite pleasant in the mornings; so some of us decided to go there ahead of the usual 7.30am meeting time at the Glass House. On the lake bund, we enjoyed the blazing blooms of the Gulmohar, and watched the waterbirds going about their business of catching breakfast, and it was nice to see several Checkered Keelbacks resting in the water just at the corner of the fence and the footbridge that cuts across the lake. Not so pleasant was the sight of some visitors stoning these creatures, and I am afraid I gave them a piece of my mind! 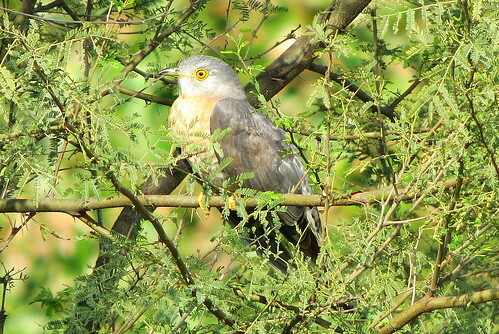 The young Crested Hawk Eagle that added an unusual touch to our Lalbagh birding has, it appears, left for other destinations. 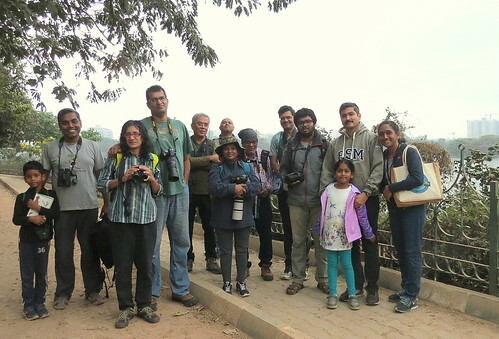 Some of us had visited Lalbagh the previous day, to conduct a nature walk for schoolchildren, and since, most unusually, we did not sight a single keelback, our conclusion was that the eagle had finished them all off and departed. So it was pleasant to see that we were wrong about the “snakes in the lake”, if not about the eagle. I wonder if the Booted Eagle has also left. 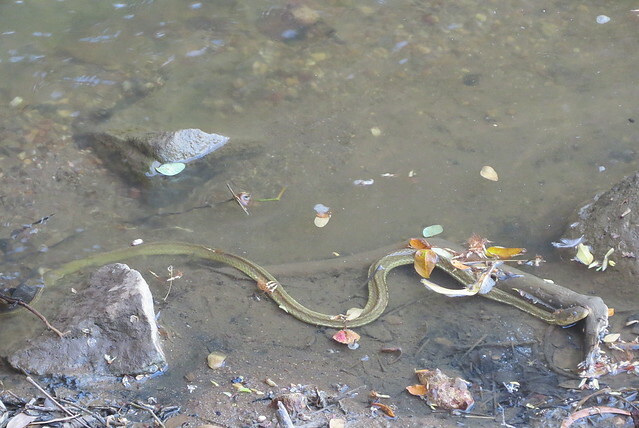 Another rather disturbing sight was that of three Red-eared Sliders on the stones in the lake. 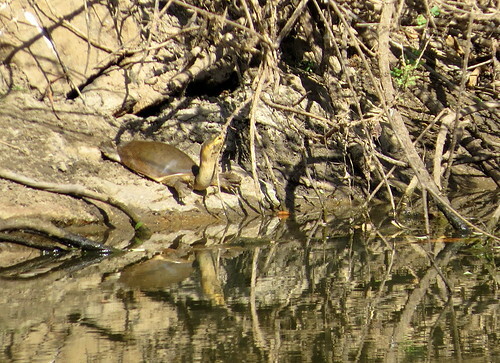 Dr Suresh, of Wildlife Institute of India, Dehra Dun, told me that these turtles (native to north America) are very invasive,when I had sent him a photo of one that I’d seen in the lake. Is there any way of netting and sequestering these turtles so that they do not take over the lake? Perhaps, like many lakes now have separate areas for the “visarjan” of idols, we should also have an area where people can release their unwanted pets in a humane way. The third thing that disturbed me was that visitors seem to think that plucking flowers off trees is a very acceptable thing to do. I went up to a few people who were doing this, but all I got for my trouble was some dirty looks and a “Who are you to tell us this?” manner! 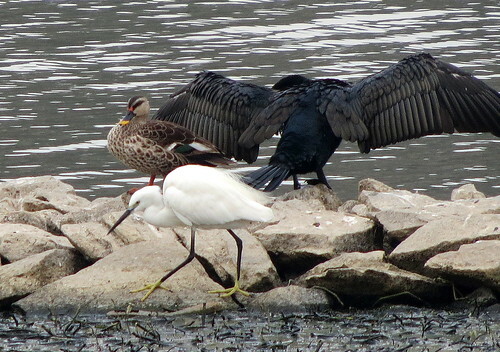 and Great Cormorants, and the “regular” Darter fishing in the waters; Little Egrets and Purple Swamphens waded at the water’s edge, looking for a snack. 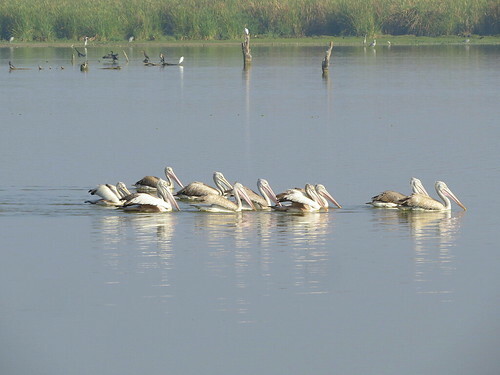 Spot-billed Ducks flaunted their colours in the morning sunlight. We went to see the Spotted Owlets, and then shared some pre-breakfast snacks, sitting on one of the lovely wrought-iron seats. Before we knew it, it was time to go the Glass House and start the walk. Srinivas and Prasad were there, as usual, and we moved slowly along with them as they pointed out many of the common birds of Lalbagh. 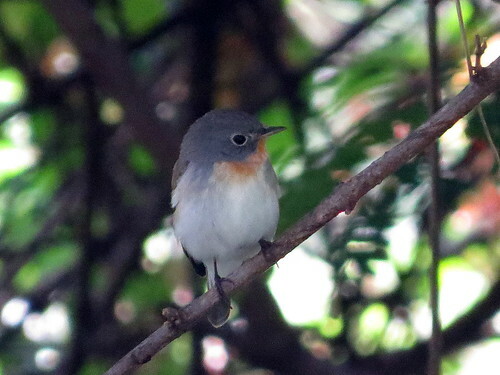 A Blyth’s Reed Warbler, some Koels, and White-eyes ensured that our progress down the path towards the Arjuna tree was very, very slow! 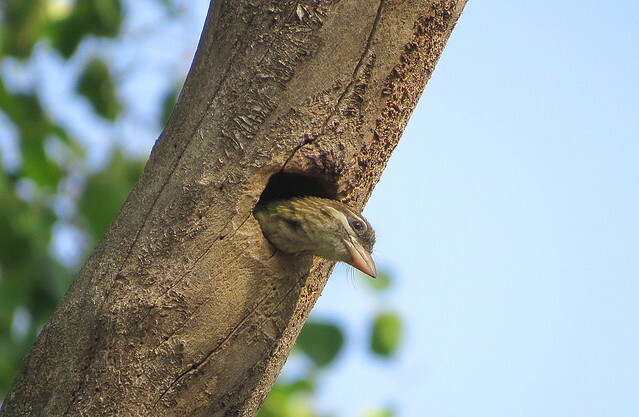 The Peepal tree had two White-cheeked Barbets going in and out of their nest-holes, and so unconcerned did they seem, that it looked as if one was peeking out from the nest, watching us! This is a new variation of the phrase, “Bird Watching”! 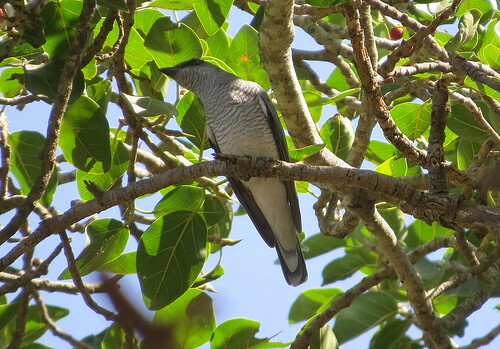 The Japanese Garden area allowed us to watch several woodland birds, and some White-headed Babblers, the resident Magpie Robin and a Black-rumped Flameback slowed us up considerably. 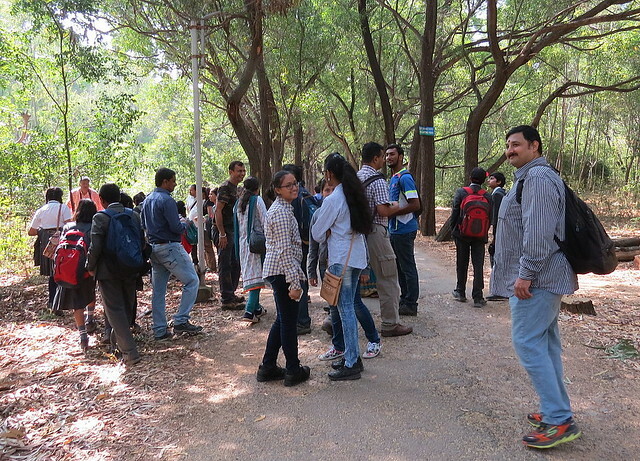 Meanwhile, other experienced birders and naturalists who normally participate in the Lalbagh walk, arrived too. MBK brought out information in his usual entertaining way. 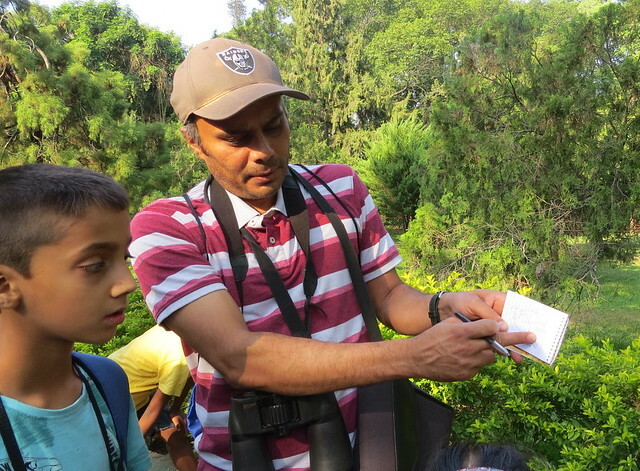 Prashanth did some excellent sketching, talking to the children (the summer vacation meant we had several on the walk) about the colours of birds. 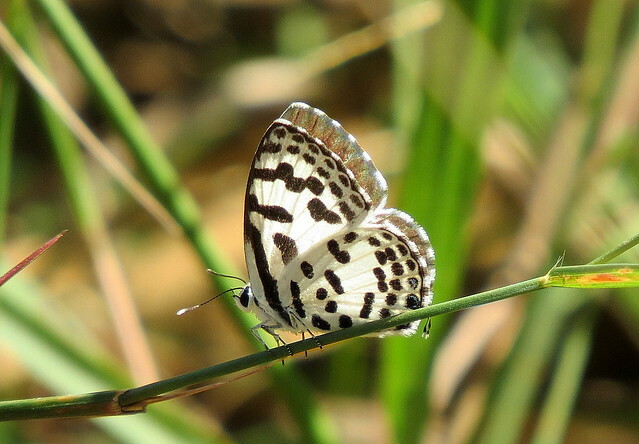 mud-puddling and nectaring on a Cycad, kept us occupied and delighted for a while, too. 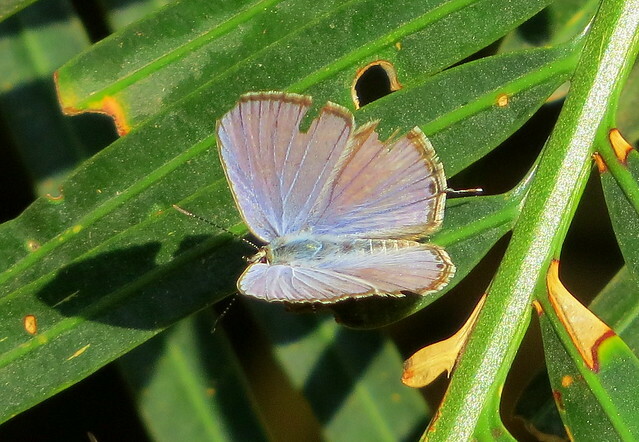 Several other butterflies were quite active . 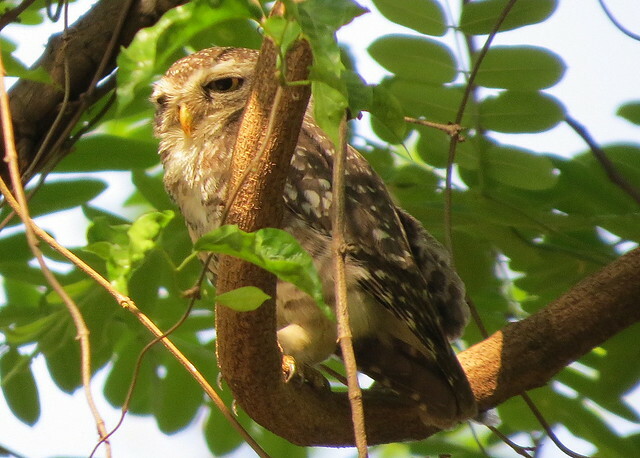 At this point some people asked to see the Spotted Owlet, and I was contemplating taking them to my usual spot, when Srinivas took just a few steps and pointed out one sitting above the netting of the nursery! 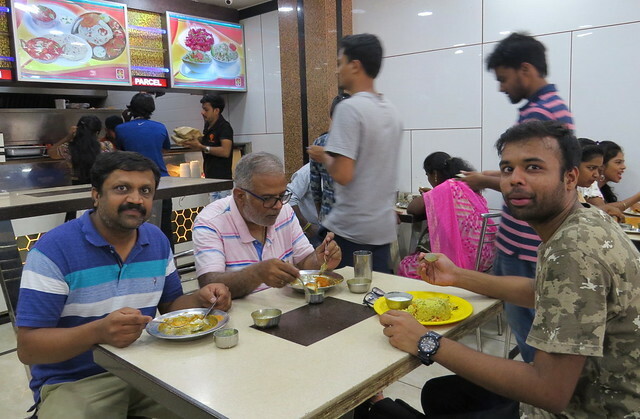 ( a very nice alternative to Kamath, where I have been increasingly disappointed with the food)…and off we went to refuel. 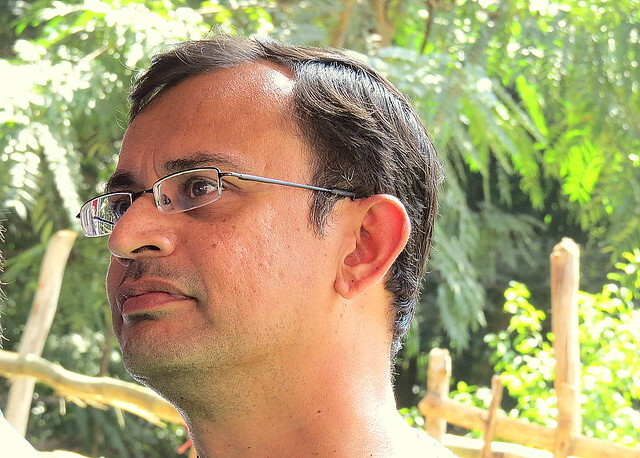 And….a small thank you to Narahari for the little push that made me write this without further delay! 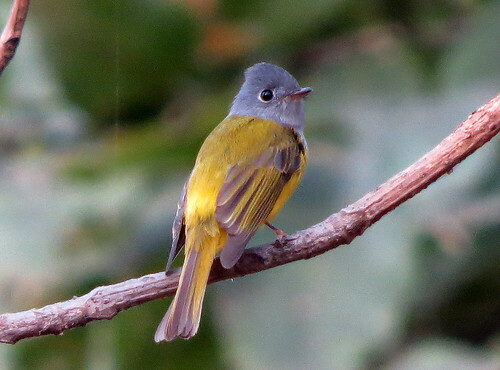 Reunited with my beloved Flycatcher Avenue! 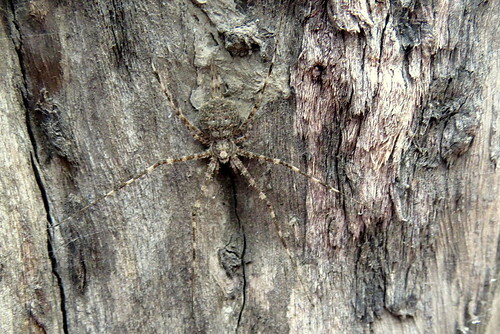 From 2006 and a couple of years after that, I used to haunt the Bannerghatta zoo area regularly. There was (and still is) a direct bus from my home to the area. The zoo was small (smaller than today), and with the Jungle Lodges and Resorts property right there, it was a very safe place to wander around, as the staff and the guards would let me know if there was any elephant movement I should be wary of. there was a beautiful avenue (that is, a tree-lined road). At one point, the road divided into two; the left-hand path went steadily upwards, with a sign (which is still there) saying, “To Mirza Hills”. 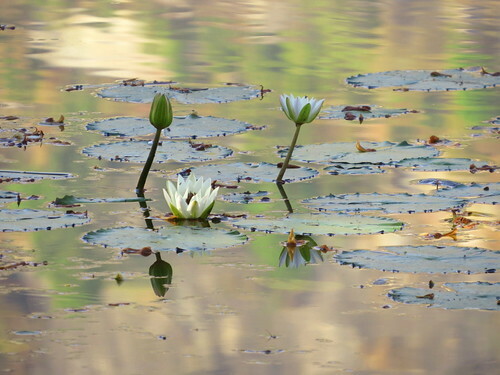 However, I increasingly started frequenting the lower path, which went along the old wall of the Zoo, and led to a small pond, which had a circular path adjoining the Herbivore Safari area. The pond was a lovely, leafy place where one could (and still can) see the three most commonly-occurring Kingfishers in our vicinity: the Small Blue, which is no longer “common”, the Pied, and the White-throated Kingfishers. 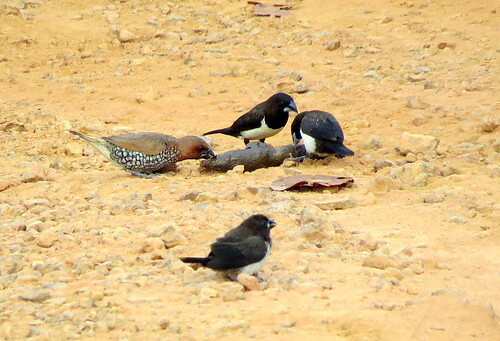 The areas behind JLR and along the rocky hills were also a great place to sight various birds. The area where the BMTC terminus is today was the home of a family of mongoose, which went about their business without fear. 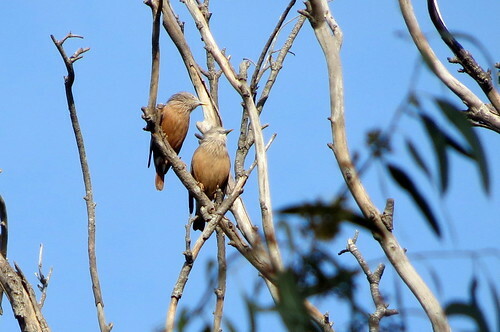 The area near the Butterfly Park was a place where I regularly sighted Scimitar Babblers. 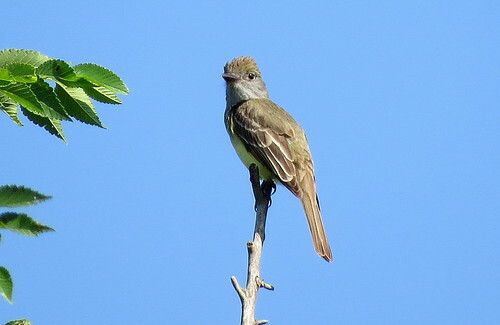 After enjoying all this, I would fetch up along what I named “Flycatcher Avenue”, to get an unfailing bonanza of flycatchers, during the winter months. 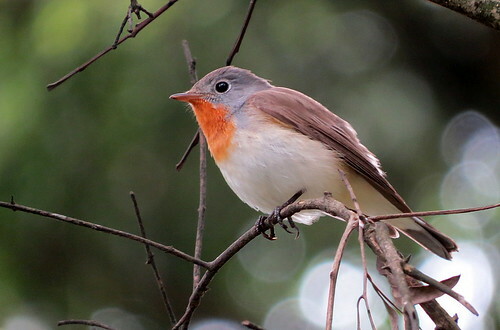 The summer months still yielded the resident ones such as the Tickell’s Blue and the Fantail Flycatchers. 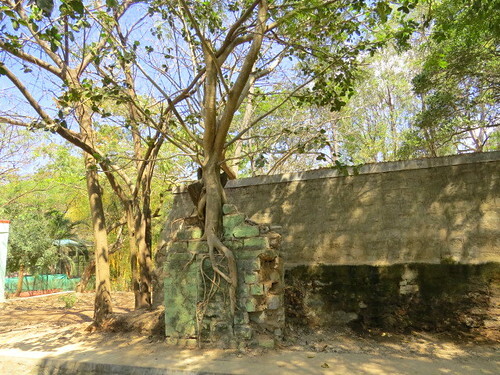 The signs of change came when the present BMTC terminus was built, and much of the area which had been free and open, was walled up and included in the gated, ticketed area of the Zoo. This meant, not only that I had to pay each time to get to my favourite place, but that I could not get access to it until the gates of the Zoo opened, at 9.30am, which is usually late for birdwatching. 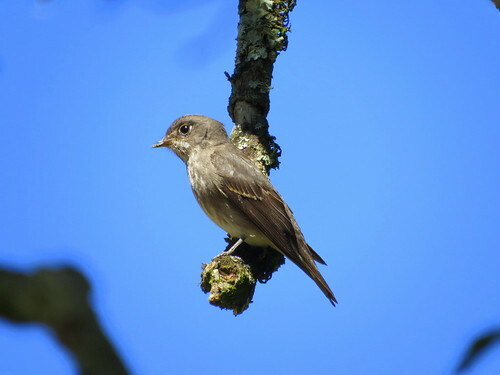 But since the avenue always has good shade, I found the Flycatchers even after this time, and hence did not mind paying up for the privilege. 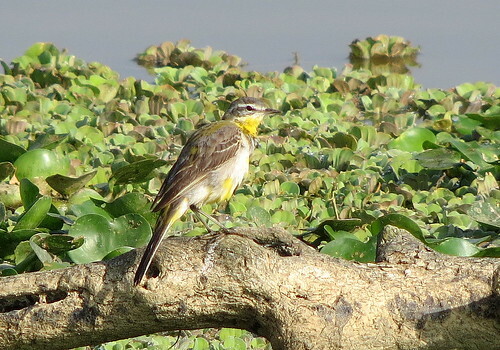 We have even sighted the Blue-bearded Bee-eater, the Orange-headed Ground Thrush, and other such species, when we looked across the barbed wire into the undisturbed Herbivore area; a Nilgai or two would amble into sight, and we never failed to spot crocodiles half-submerged in the water, or sunning themselves on the rocks. Then came more construction. Access to the Flycatcher Avenue was barred as a new wall came up across the lane, and from taking groups of children and adults there regularly, I stopped visiting the area completely. Friends who did visit also told me that access to the lane was no longer available, leave alone accessing the Kingfisher pond. 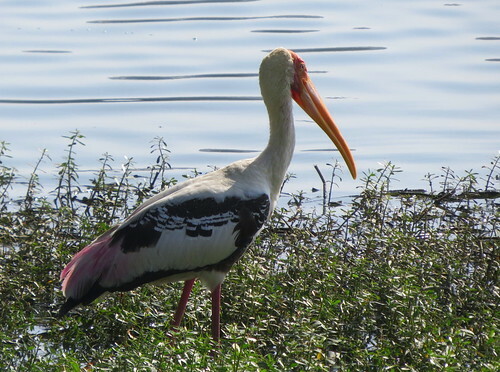 So it was with a sense of “What will I find?” that I decided to go with Vidhya to the Zoo area again, during the Great Backyard Bird Count, on 15 Feb ’19. I was in for a treat! 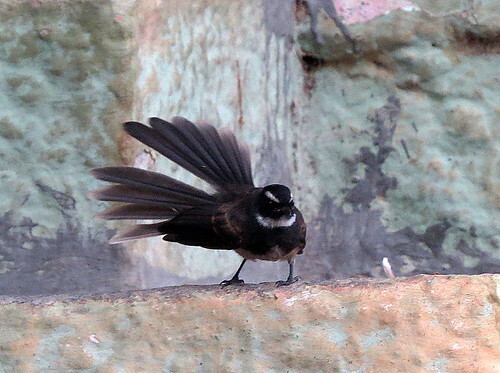 Of course, we had to pay for ourselves and our cameras, and could only get in at 9.30am…but once we got in, we found that the disappearance of the old wall was good for us as birders. Where the flycatchers would disappear frustratingly behind the wall earlier, now the area was clear, and we could watch to our hearts’ content. 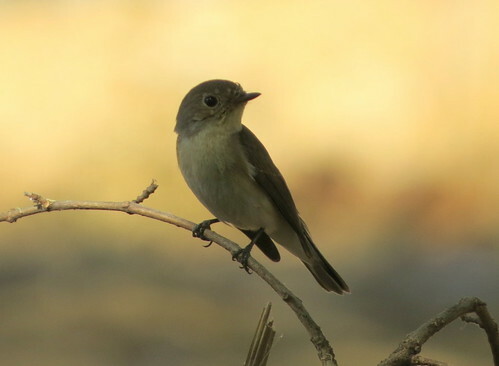 On this first visit after a long gap, we were able to sight no less than seven of the nine kinds of Flycatchers that I have seen here. 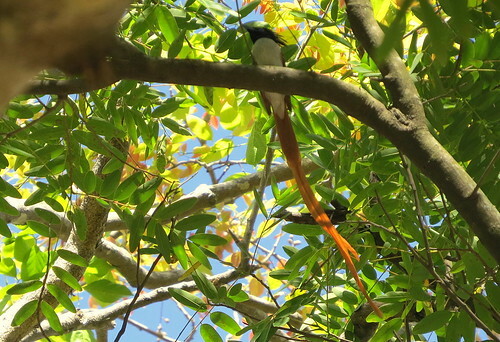 We saw the male Paradise Flycatchers in their sub-adult stage without long tails, with half-grown tails, with the fully-grown, replesendent streamer tails too! I need not tell you that we returned with beaming smiles from the visit. Nor have the two subsequent visits been a disappointment in any way, on the 23rd and 25th of Feb. Indeed, near the Leopard/Lion cage (the notice says Leopard, but there is a lion in the enclosure!) 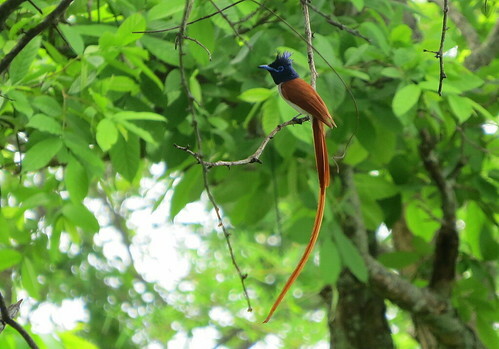 there is a bamboo stand which is home to a very tame Tickell’s Blue Flycatcher, which led my friends teasingly around the thicket as they got their DSLR shots…and then sat patiently for them…while a full-tail white-morph Paradise flycatcher flaunted his “ribbons” at us from the trees above. We were quite spoilt for choice! 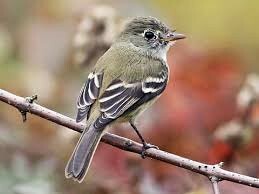 Which makes 11 kinds of Flycatchers, all in that small area! I am writing to the Karnataka Forest Dept at Bannerghatta, giving these details, and asking for access in future…let’s see what comes of it! 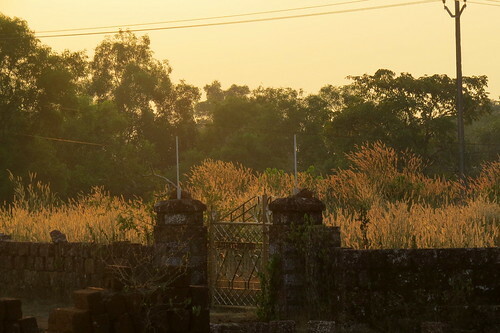 as the sun rose behind the hillocks of the beautiful scrub jungle. 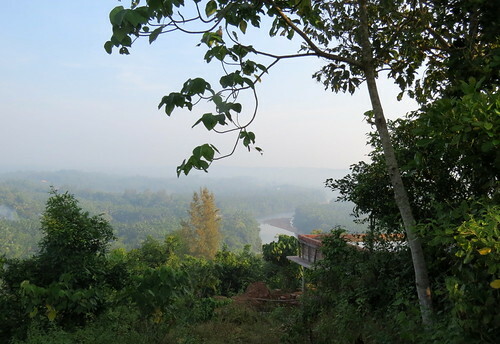 It is getting more and more difficult to find forest patches which are not walled off and where prior permission (often not given) is required. 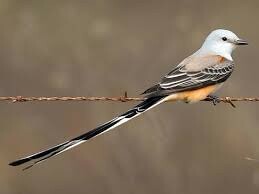 I do envy the birders and naturalists who could range freely over so many areas in the 60’s and 70’s! 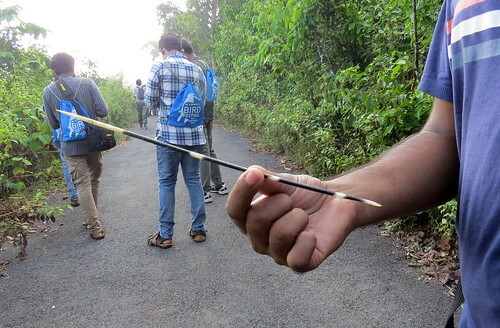 The population pressure is telling on the patches we have left, and I cannot blame the Karnataka Forest Department for being very wary of visitors, but definitely for students, research scholars and low-budget enthusiasts like me, the wilderness is increasingly either out of reach or inaccessible. 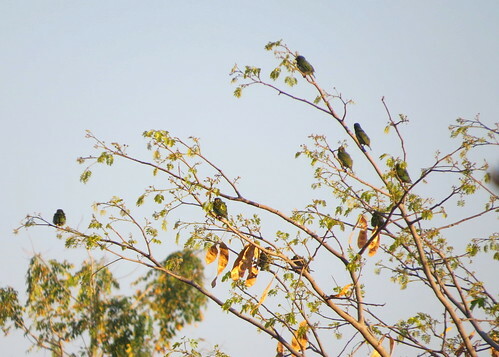 We started the walk with a kind of Coppersmith Barbet convocation, as large numbers of them flew in and settled on the tops of the trees nearby. So it was a while before we could move on. 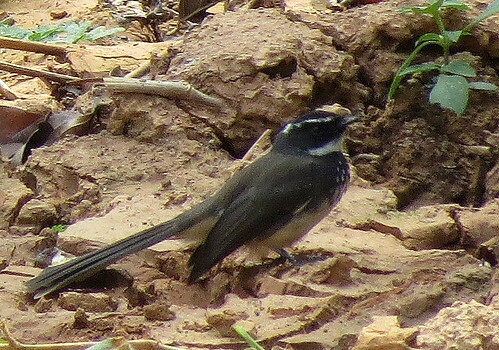 Already, before I arrived, the others had seen quite a few Indian Grey Hornbills flying past, and this continued on our walk. Even when we were not sighting birds, the beauty of the rocky area and the path was delightful. We had been warned by a local farmer about the leopardess in the area (we had seen her pugmarks on the last 4th Sunday outing in July ’18) which had given birth to two cubs, but we saw no sign of her this time. 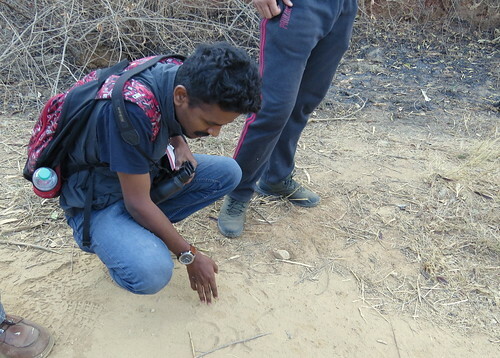 Other footprints were there, though…the peafowl, and some other tracks which Mayur tried to identify. 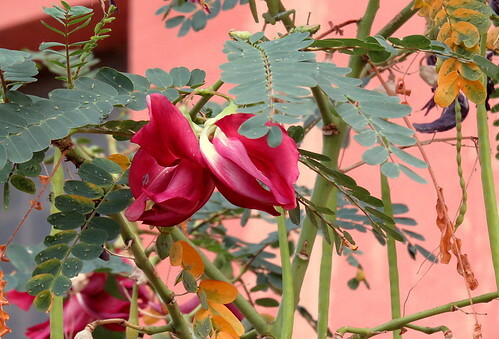 As we went on, we sighted birds like the Sunbirds, Flowerpeckers and other woodland inhabitants. 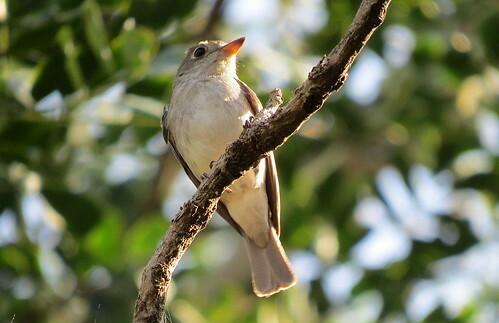 The Bulbuls called, as did Tailorbirds…the calls of the Warblers, our winter visitors, were harder to identify. 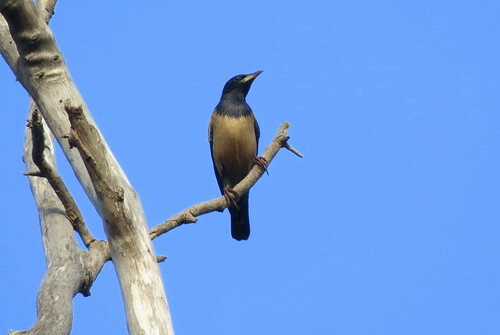 Even the call of the Drongos sounded very different when they imitated other birds! I explained to some of the others about “birding by ear”. 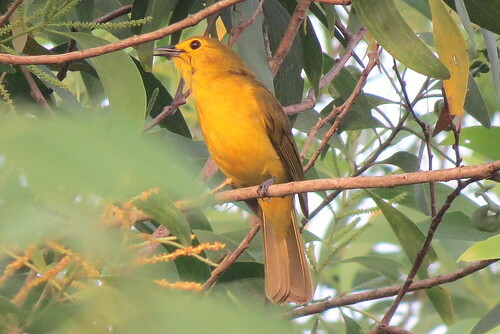 One of the highlights of the walk was the sighting of a Yellow-throated Bulbul, clearly if not sharply, caught on camera by one of the group. 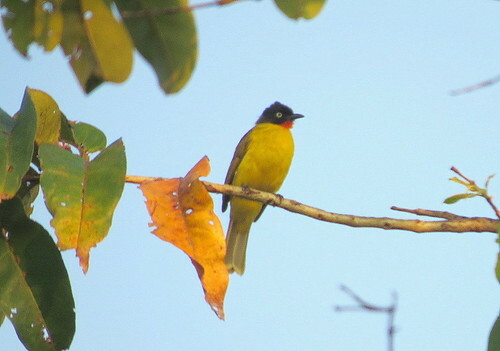 Later, Tej was certain that he’d sighted a Black-crested Bulbul, but since none of us had seen it with him, I decided to leave that out of the bird list. My apologies to Tej for caving in on this one! 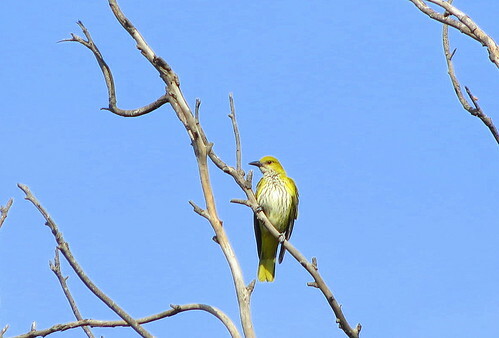 Another interesting sighting was that of the rarely-seen Marshall’s Iora. 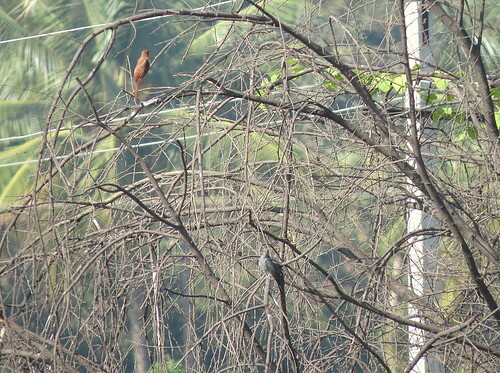 as well as the White-throated Kingfisher, looking for their breakfasts. 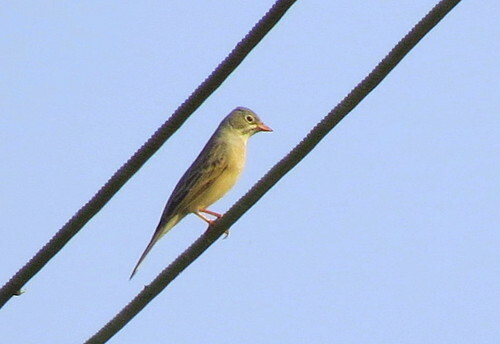 Several birds, such as Swallows, flying overhead, were also noted. 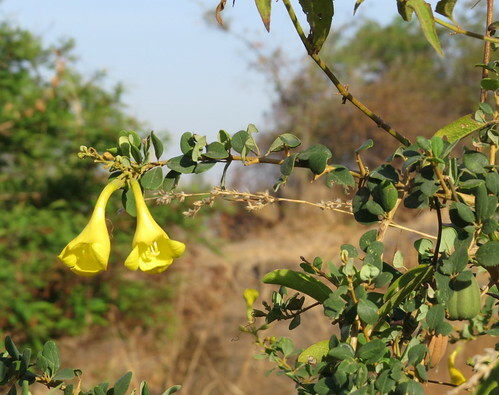 Several unusual trees and plants also caught our attention, and I must thank Subbu for pointing out some of them when I was chatting to the others about the birds. 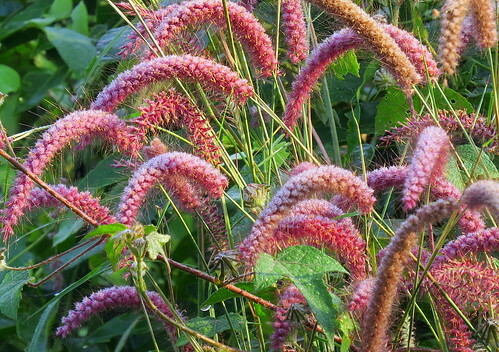 Wildlfowers are stunningly beautiful! 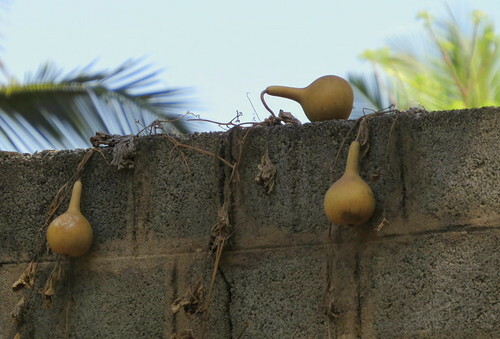 Now you know why they are called Bottle Gourds! 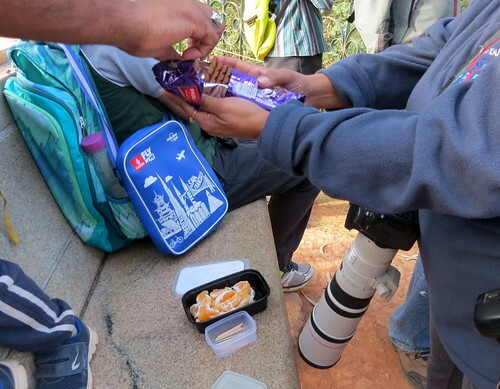 We stopped at the end of the trail for our variety of snacks, and both Vidhya’s “mangai thengai pattani sundal” and the masala buttermilk I brought, went down well with an assortment of biscuits and crunchy snacks. Why can’t all the vitamins be in the tasty nachos, I wonder! proved to be very curious about everything she saw..and she quizzed me a lot, too! I am not sure if I answered her questions to her satisfaction…but it was very nice indeed to spend time with her. I do wish more parents would bring their children along, though I know the early start is a bit tough…our wildernesses are fast disappearing into residential layouts! and went home with our hearts…and tummies…full, to face whatever the week ahead would bring. For a while now, the world of insects and spiders has begun to be revealed to everyone, through the medium of photography. As the micro-sized creatures are captured through macro photography, stunningly weird-looking creatures appear on social media feeds, making us feel that these, surely, are beings from a different planet! No, these creatures are not “out of this world” at all. 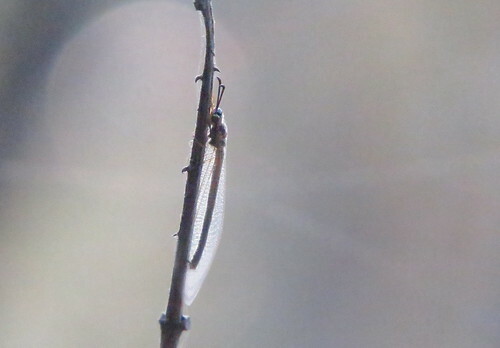 It’s just that their tiny size prevents us from seeing them in detail. 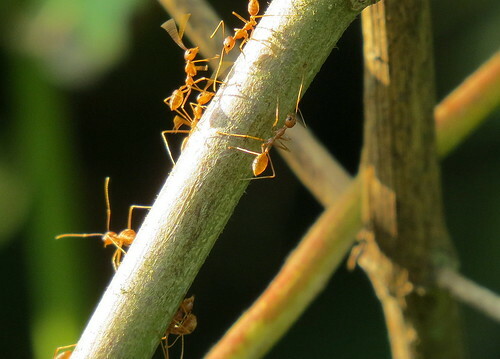 Another reason why we know little about them is that they are often so well camouflaged, as leaves, bark, or other natural phenomena, that we overlook them completely. Hayath Mohammed is one young man who, even as a child, was drawn to these smaller living beings. 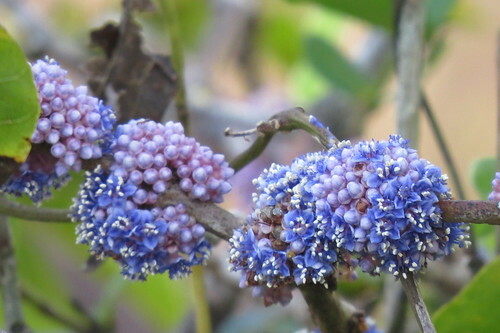 “I would walk around in the garden and find enough to interest me and keep me occupied,” he says. 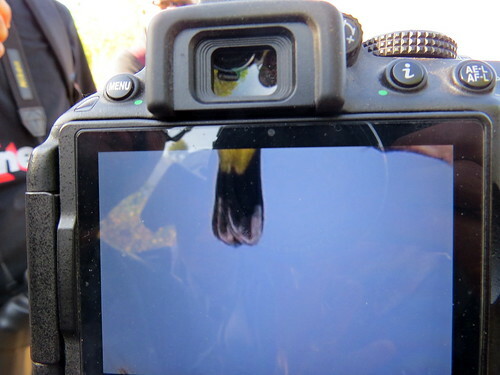 He invested in a camera to be able to document what he saw. His parents have been supportive of his interest in these many-footed creatures, he adds. 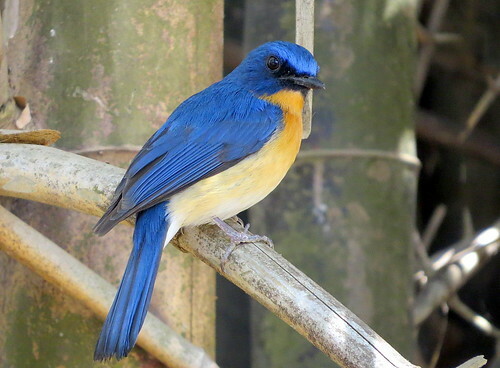 Indeed, he says, “My mother likes to go birding with me, and since she has also observed the various kinds of spiders and insects, she’s very understanding about my fascination for them”. During the course of our short walk together in Doresanipalya, he did bring out quite a lot of these names for the spiders. Arachnura, Argiope, Cyclosa, the names rolled off his tongue,but didn’t quite roll into my ear as easily! On the photography front, too, Hayath says, it’s been a big ride. 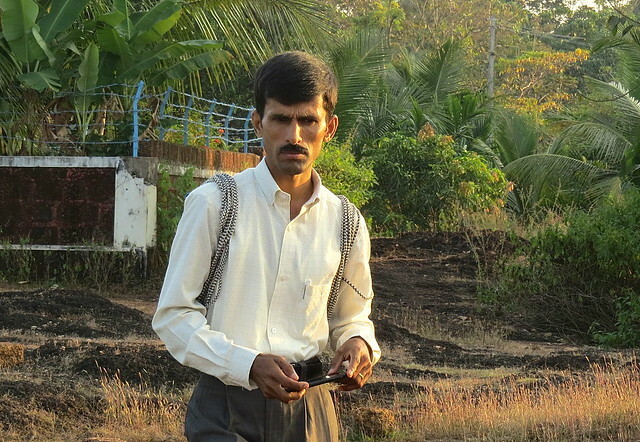 “I got started with a Sony point and shoot gifted by my uncle.” he says. “I used that for a while before moving to a Sony H2.”Since then,” he adds, “I’ve moved to a Canon DSLR system and then, recently, to the micro four thirds Olympus system. My current macro equipment costs around Rs 50,000 in total.” Certainly, if it should be counted as a hobby, it’s quite an expensive one! 3. Using a Raynox DCR 250 clip-on diopter for telephoto lenses and bridge cameras. But sooner or later, one does wind up investing larger amounts of money to get the perfect image! “Proper use of light plays an important role in making good images, as with any other genre of photography,” he is quick to point out. He uses a Rs.5 thermocole Hi board as a light diffuser with his expensive flash equipment! So the combination of expensive equipment and cheap “jugaad” works well for him. Here is Hayath, looking around at the trees, the leaves (on, around, and under them!) 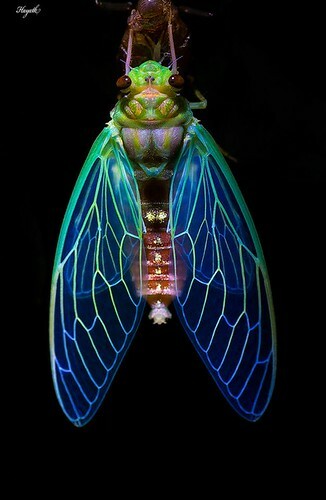 with his equipment, for the various creatures that he finds so interesting, and photographs so well. 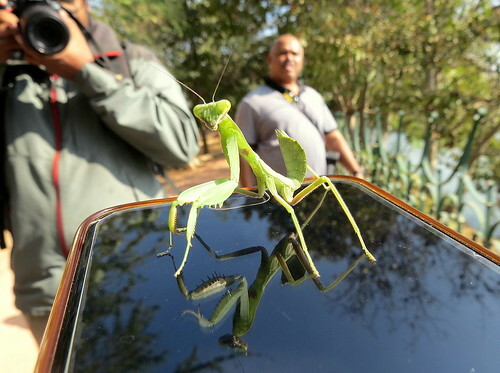 Let’s wish Hayath every success on the path he has set himself, of documenting the small creatures of the urban jungles….. creatures that most of us never get to see at the level of detail he achieves. It’s always a tug-of-war on the second Sunday of every month. 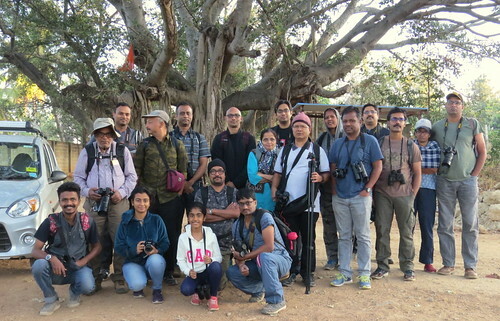 I have learnt a lot on the Lalbagh walks, but since I am generally committed to the 3rd and 4th Sunday walks, I do like to go to other birding spots with my friends. Well, on the 13th of January, the tug was decided by the fact that the Asian Waterfowl Census, or AWC ) is on, and we could contribute data and pretend to be very scientific, while following the experts around and getting to see a lot of birds! 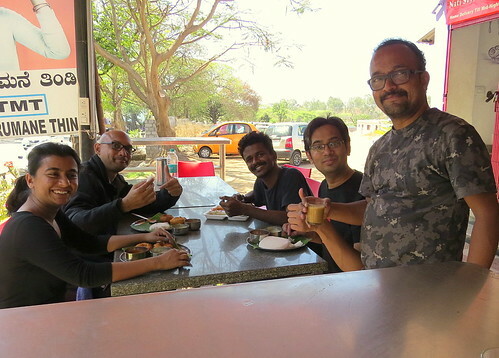 So off we went to Hoskote kere, after MCS (Mandatory Chai Stop) on the way. MCS, ITI Bus Stop. Note Vidhya’s gloves! The group was not as large as I’d expected, but this lack of numbers was more than made up for, by the number of species sighted! I am not one for numbers, but definitely, between waterfowl, winter migrants, and woodland birds, we were able to sight, and observe the behaviour of, several species of birds. We carefully turned into the toll-avoiding opening and proceeded down the bund of the lake. 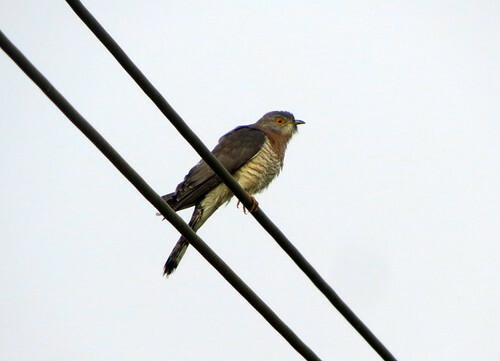 We opened our account with a White-throated Kingfisher and a Common Hawk-cuckoo sitting on the wire, out in the open. Cormorants and Grebes on the waters. There were two scopes on hand, and this certainly helped many of my friends, who are still new to birding, to do some Spotting of their own, apart from the bills of the pelicans and the ducks! 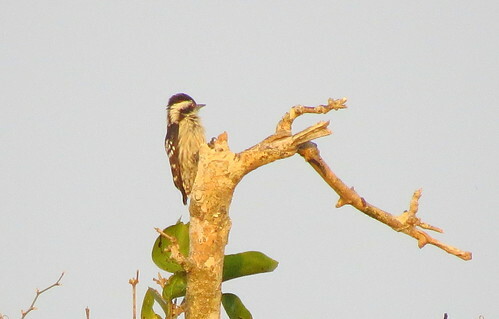 A Pied Kingfisher hovered over the water and dove in now and then, looking for a quick breakfast. The “spotting” extended to the far side, the scope enabled us to look at a Greater Spotted Eagle, as well as three Marsh Harriers. perched on the bare trees, and occasionally sweeping over the water, alarming all the other birds. It was delightful to see a Common Kingfisher and a Wagtail apparently enjoying a boat ride. 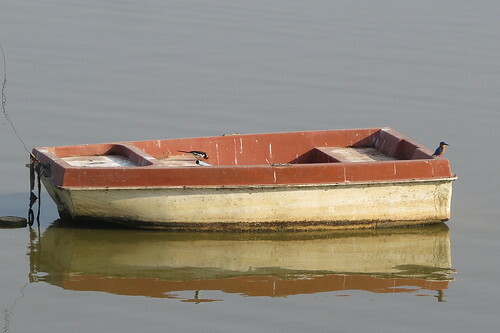 We don’t often see birds boating! On the far side, thanks to the scope, the indistinct blobs resolved themselves into Garganeys, Shovellers, and Pintails too. Gangamma, the deity at the lake. and we were able to make out the difference between Streak-throated, Barn, and Red-rumped Swallows in a birding id practical lesson. 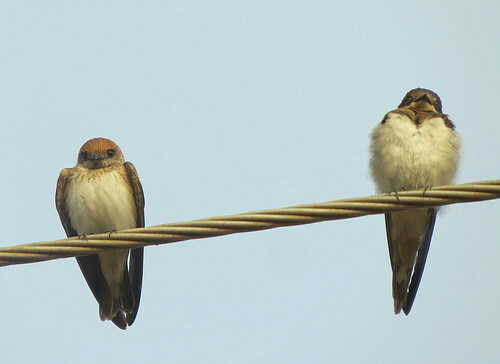 Streak-throated (L) and Barn (R) Swallows. Little, Intermediate, and Great…It was like watching the Grimmskipp page come alive! It was lovely to see the Swallows making musical scores on the wire. 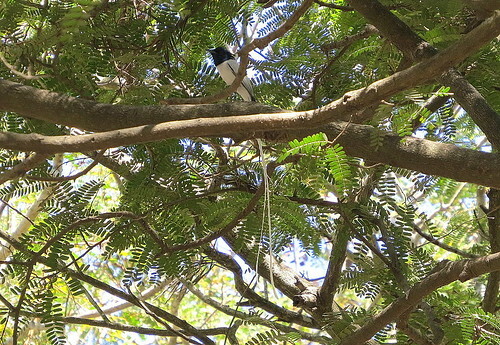 I believe someone did, once, set the swallows-on-the-wire to music! We brought out our snacks and biscuits, and stoked up enough calories to let us carry on well past the usual breakfast hour. 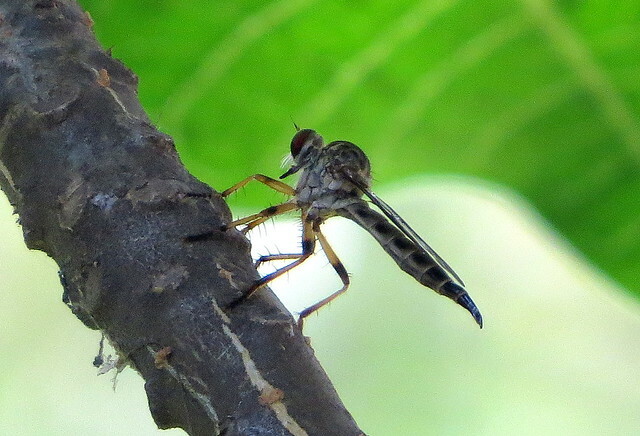 and the hepatic morph, which is generally female. I looked at a non-singing Jerdon’s Bushlark, and a Common Hoopoe (no longer common, either) A (probable) Booted Eagle gave us a fly-past finale. Not having realized just how much time had gone by, we decided to go to Sendhoor Cafe in Ulsoor, and our greed was rewarded by the fact that it was noon when we reached there, and everything was sold out! We should just have eaten at one of the two darshinis at the lake! 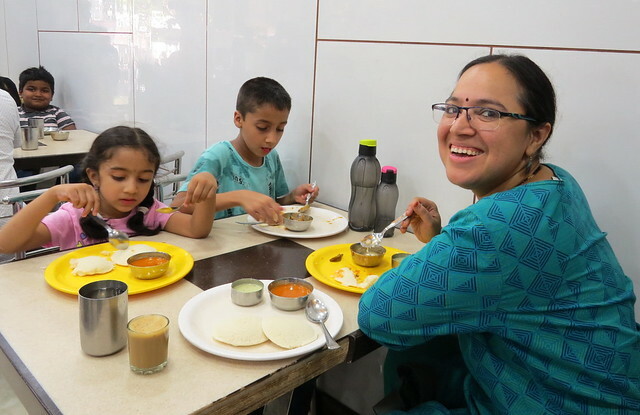 Well, we managed to eat at the Second Choice Darshini (Kadamba, opposite Frank Anthony School) and went home, very happy with our productive morning. You can see I really concentrated on the bird count this time as there are just a couple of wildflowers and one spider in the album..and no butterflies at all! 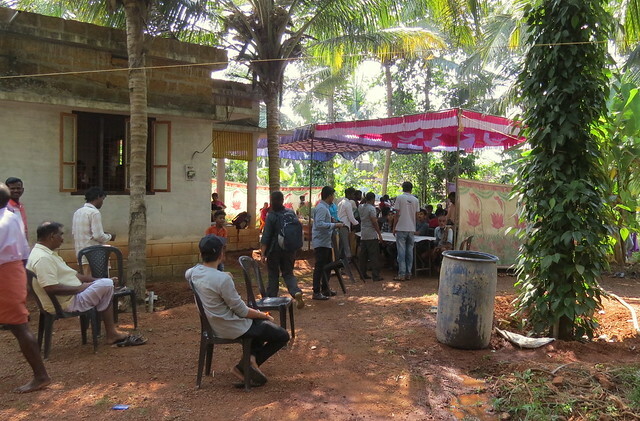 Most of the participants, at the end of the census. It’s Monday and I am already looking forward to the next weekend! 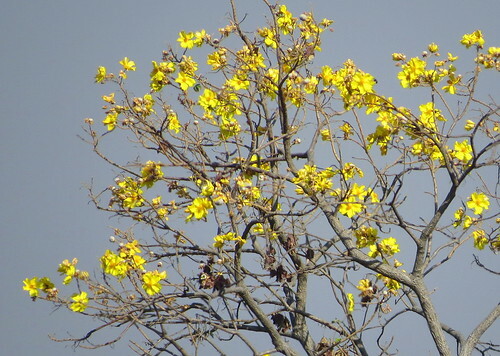 Where is the winter in Bangalore? 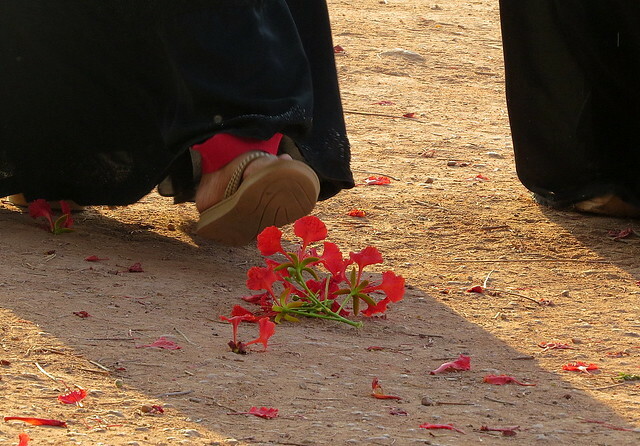 Alas…. it seems to last only until the sun gathers power in the mornings! 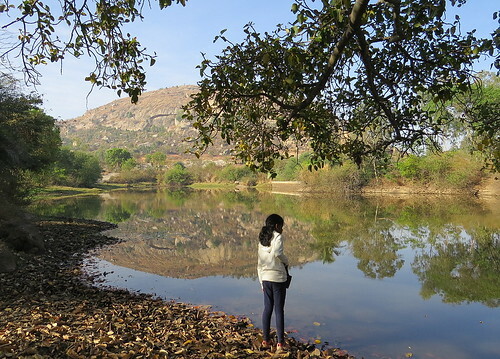 But in spite of the rather strong sunshine, several of us had a very enjoyable morning at Kaikondrahalli (or Kaikondanahalli…it’s spelt both ways at the lake!) 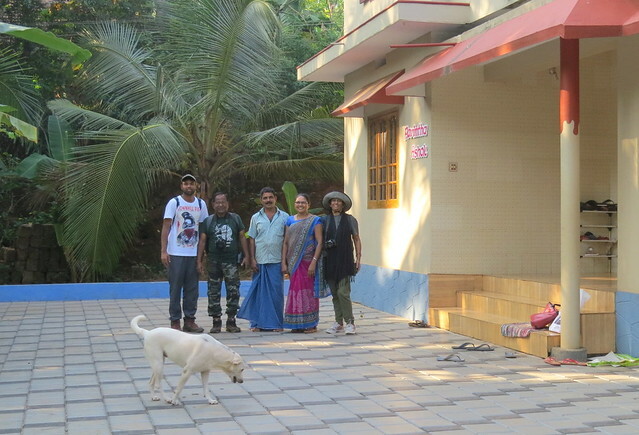 on the 4th Sunday outing, on 23rd Dec, 2018. 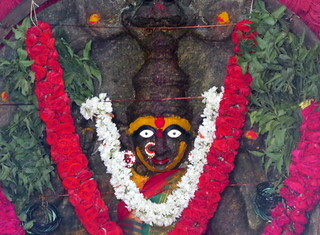 KrishnaVirat, Chandu, Shubha, Subramanyam,Tarachand, Imtiaz, Mamta, Gopinath, Jagan, Rakshith, Mandar (with Srushti), Kalyani. 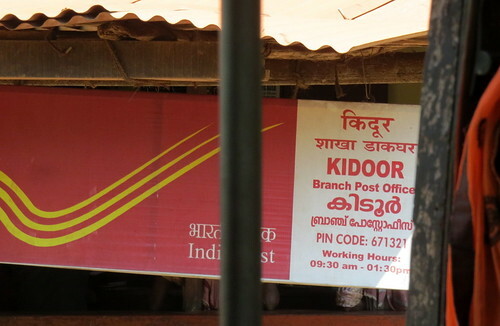 Kaikondrahalli kere, 231218. 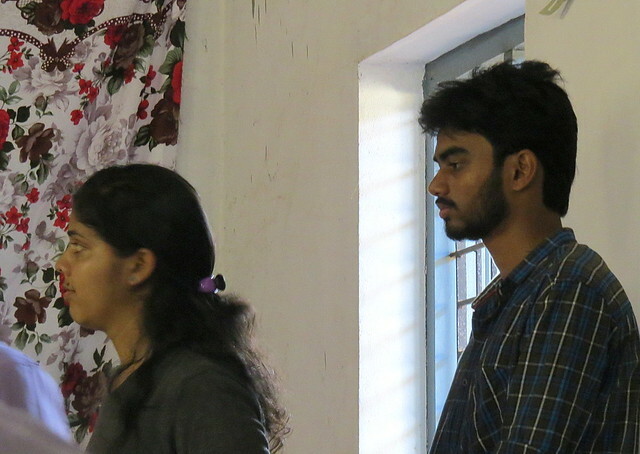 Sushmitha and Shankar joined us later. We started on the path watching the Spot-billed Pelicans, Little Grebes, Little and Great Cormorants, and Spot-billed Ducks doing their “ducking” as they hunted for food. 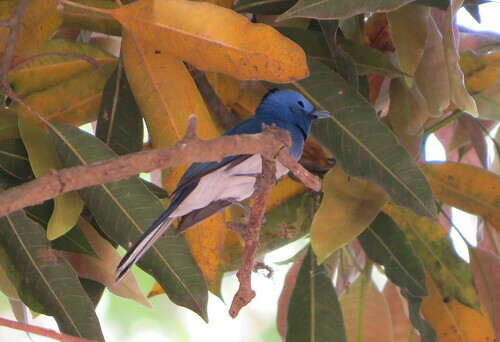 A White-throated Kingfisher arrived in a flash of cobalt blue and sat quietly at the edge of the bridge. 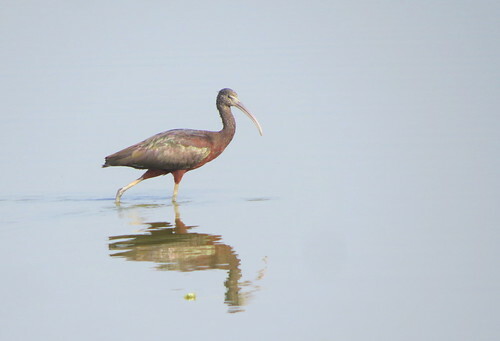 Several Black-headed Ibises flew out, perhaps in search of the next water body. 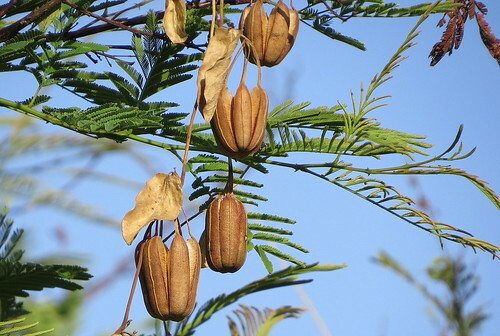 Walking along, I showed everyone the various medicinal plants and trees that have been planted along the northern edge of the lake (along Sarjapura Road). 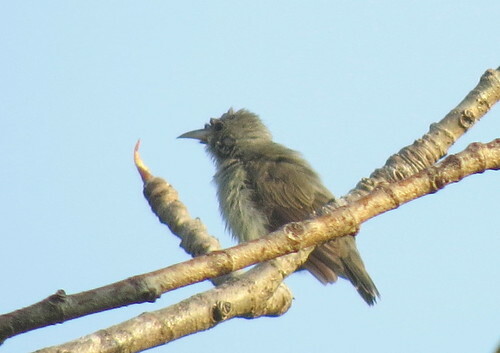 Soon, the latecomers also caught up, and we looked at Sunbirds, Flowerpeckers, and Warblers flitting around the trees. 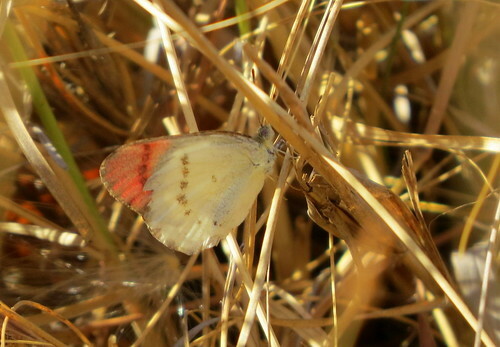 The butterflies were not out, but a Bush Hopper on a (what else?) 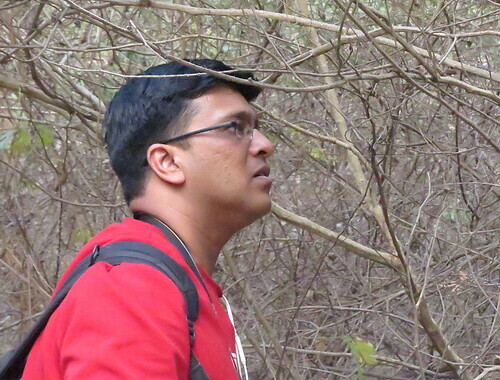 bush caught Chandu’s eye, and we looked at the small creature carefully. some Asian Openbills, and a large number of Grey Herons and just a lone Purple Heron caught our attention on the central island. 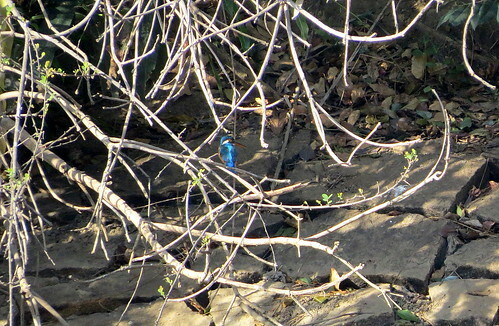 Mamta, a very experienced birder from Bhubaneswar who is visiting her daughter, was helpful in spotting the Small Blue Kingfisher. 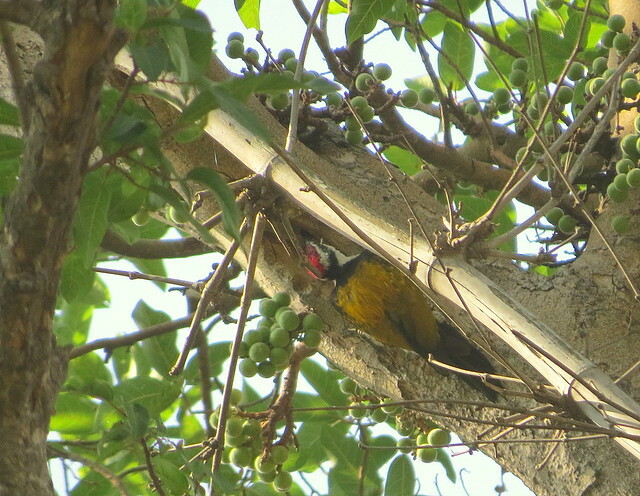 Kalyani spotted a White-cheeked Barbet on the Ficus, but it took the rest of us several minutes to see it! 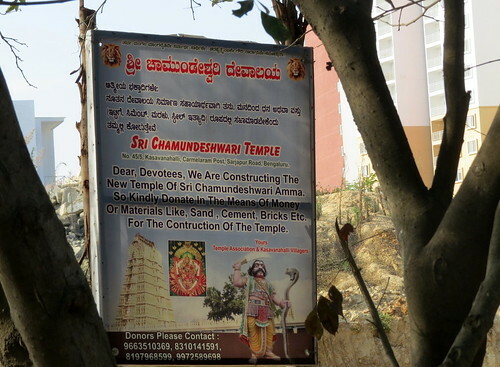 I was dismayed to see a notice proclaiming the construction of a Chamundeswari temple, asking for donations of bricks and cement,next to the fence. 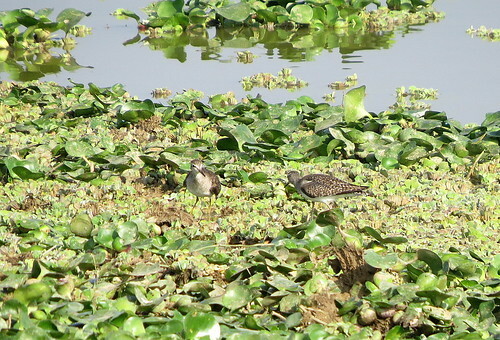 But I guess there is little we can do about it, as the marshy area (where we spotted a couple of Sandpipers) will be dumped on and filled up. Some of us actually clicked the Greater Spotted Eagle under the impression it was a Black Kite…it soon took off, mobbed by those can’t-get-along-with-any-other-bird crows. But we soon watched a reverse drama in the air, as a Black Kite chased a crow which had secured some food. 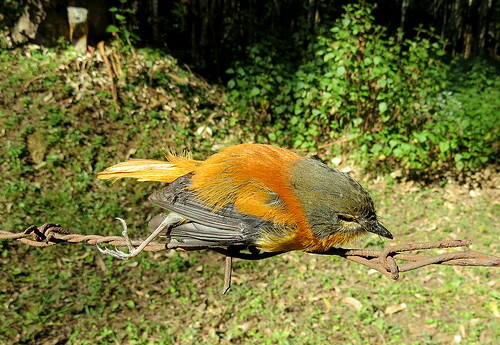 In the fray, it seemed as if neither bird got to eat the morsel! as we approached the rookery where the Cormorants nest in season. It is very heartening to see children on the walk. Young Srushti (whose nickname is “Dolphin”!) 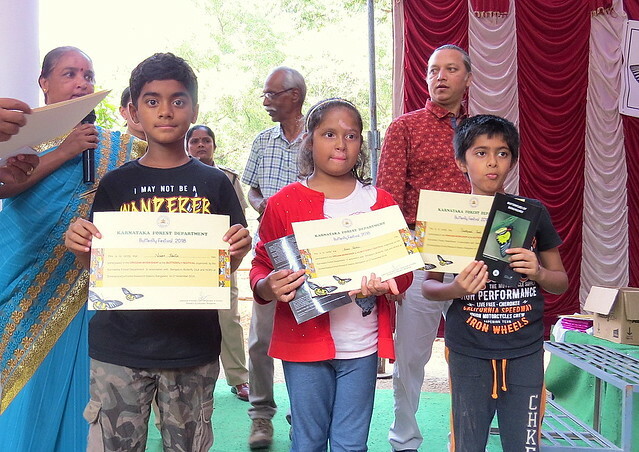 , the daughter of Kalyani and Mandar, proved to be very knowledgeable about birds, and it was a pleasure showing her other creatures, like tent and orb web spiders. 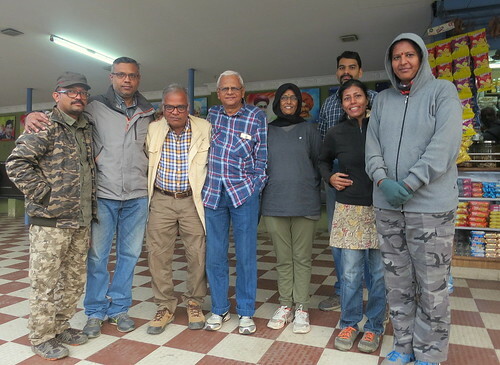 Krishna Virat, also quite experienced with birds, came along with his father, Chandu Bandi, who was a great help in spotting birds and showing them to the group. and we walked on beyond the Butterfly corner, which seems, once again, to be in sad shape. 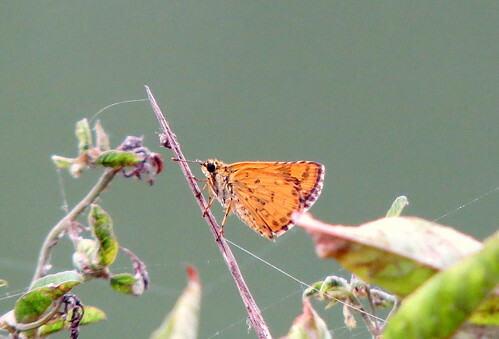 However, some Plain Tigers and Common Jezebels were found a little further on. 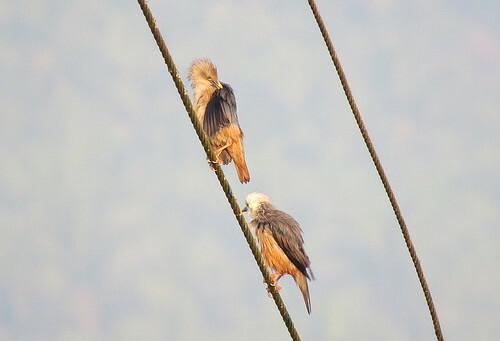 Brahminy Kites, both adult and juvenile, soared overhead. 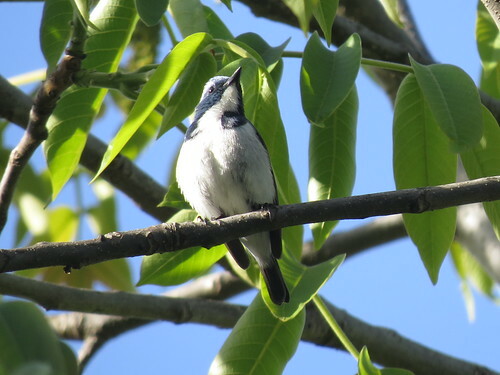 There was a lot of activity in the tall Eucalyptus near the rest rooms, with Warblers and White-eyes flitting around, and a Purple Sunbird flashing its metallic plumage in the sunlight. 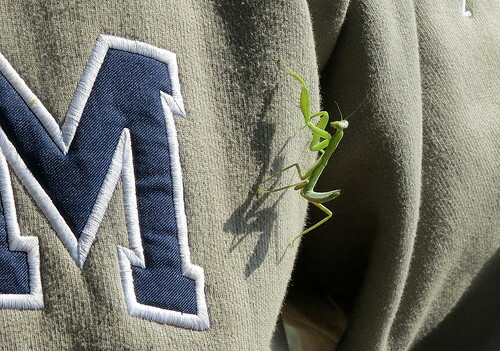 A Praying Mantis on Mandar’s clothes delighted us for a while. and dispersed, well-pleased with what we had seen, and observed. 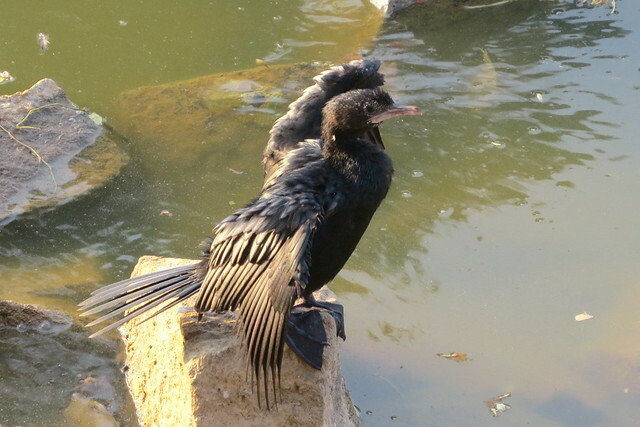 Here’s a short video of a Cormorant drying its wings while still swimming! This was the last Bngbirds walk for 2018, and I take the opportunity of wishing everyone a very merry Christmas if they celebrate it, or a happy holiday if they don’t…and all the best for a prosperous 2019! 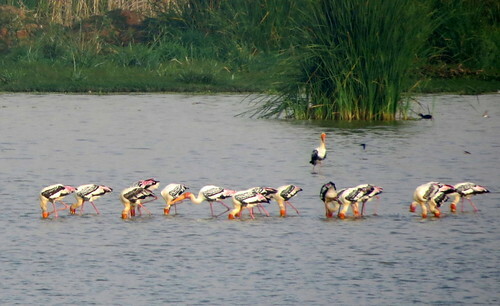 Birds know no borders; the ones that we go to see in Karnataka fly off and can be seen once we cross over into Kerala! 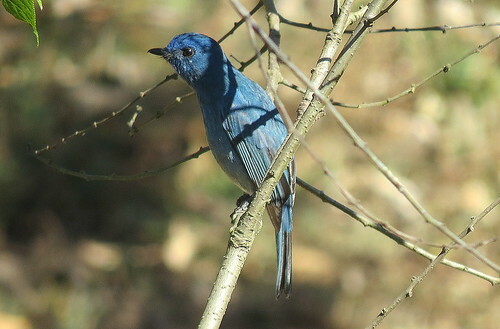 it was clear that this would be a productive birding weekend. The participants and the organizers. 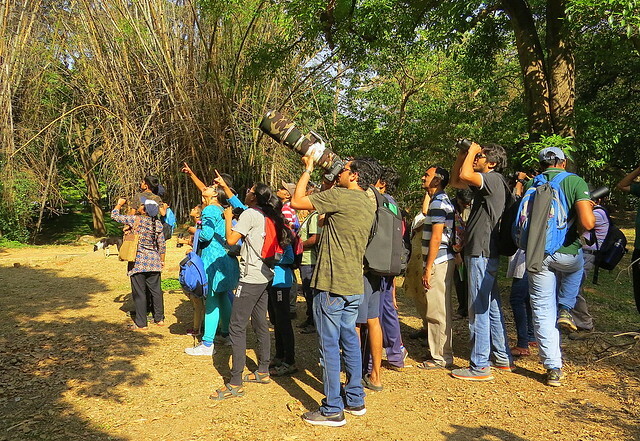 The festival was a bigger event than it was in 2017, because this time, birders from all over Karnataka and Kerala attended. 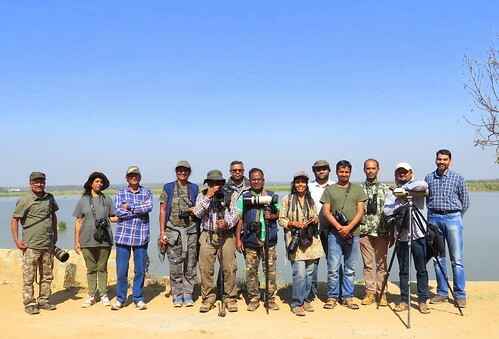 65+ birders made a strong show at the fest, which was held in the hamlet of Kuntangeradka, in Kidoor. The festival began with everyone gathering and registering. 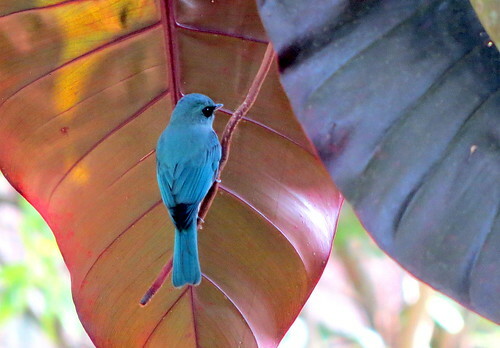 Beautiful palm-frond birds adorning the hall. worked very hard to make the event a success. 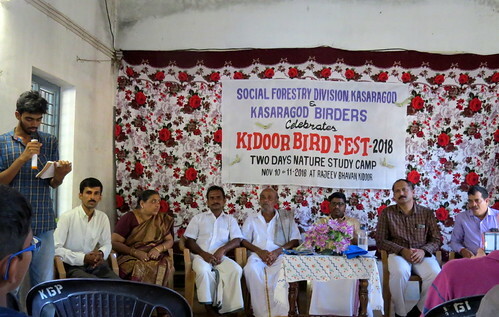 The birders of Kasargod, and some from Mangalore, brought the following local luminaries on the dais: Sri Pundarikaksha K L, President, and Smt Aruna Manjunatha Alva, Ward Member, both from the Grama Panchayath, Kumbla; Sri Biju P, ACF, and Sri Sunil Kumar, SFO, Social Forestry Division, Kasargod; Sri Chikkayya Rai,a practitioner of traditional herbal medicine; and Sri Radhakrishna, an eco-friendly businessman of Kidoor who eschewed plastic. 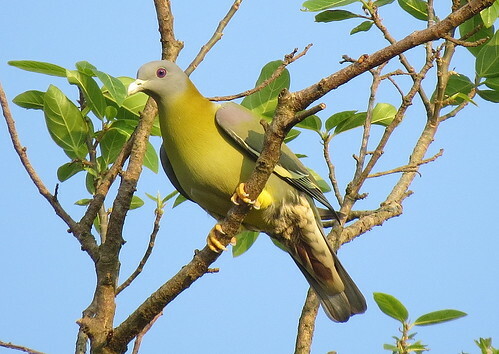 Sri Pundarikaksha inaugurated the event, and the dignitaries from the Social Forestry Division spoke about the valuable sighting of the Orange-breasted Green Pigeon in Kidoor, on 10th Nov 2016, and the decision to celebrate the birthday of Dr Salim Ali, noted ornithologist, on 11th November as well. 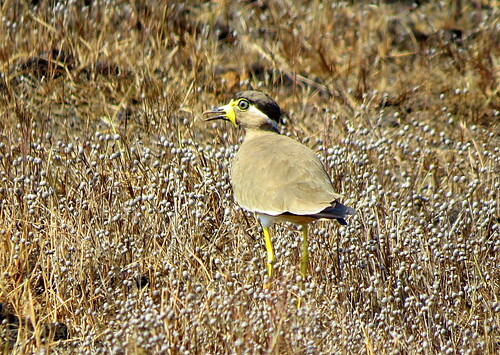 Kidoor has proved a birding hotspot, with sightings of several birds endemic to the Western Ghats. 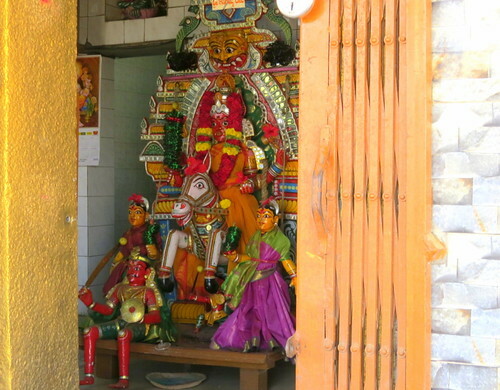 Sri Chikkaya Rai, Sri Radhakrishna, and Chi. 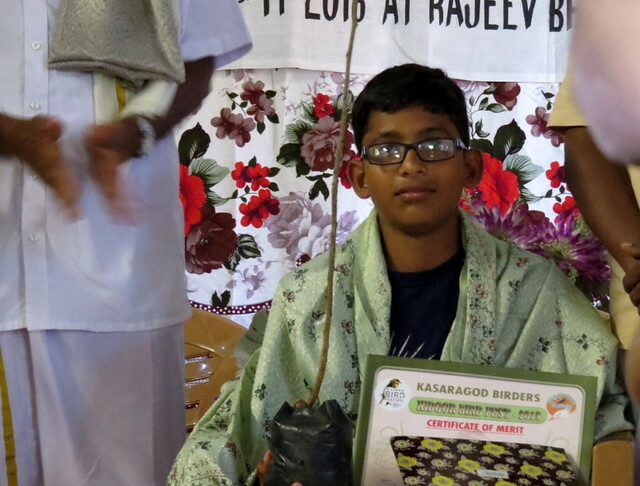 Praveen (a young student who has spearheaded several ecological initiatives in his school) were felicitated. 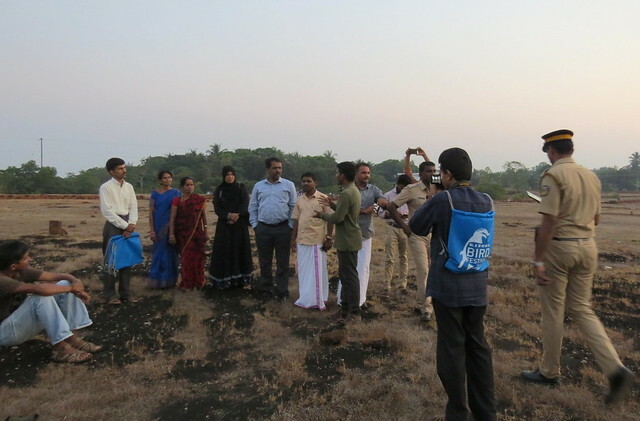 The local birders took the visitors for an evening walk in the nearby laterite/grassland area. and a pond that they are protecting for the birds. 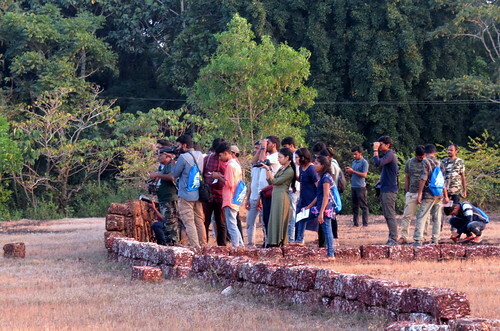 Participants on the evening walk. 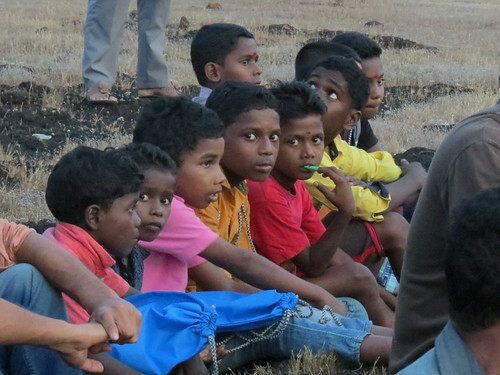 Children at the evening walk. They organized a cultural program, with many people, including these ladies who sang folk songs, taking part. 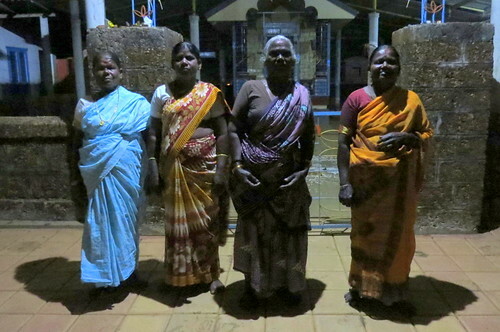 Untiringly, they also conducted a night walk along the village roads. 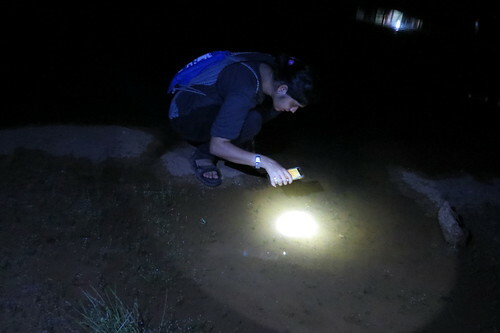 Lavina, a doctoral student, explains about pond life on the night walk. Next morning,in the dawn light, they took the visitors on a morning walk, along a scenic trail. 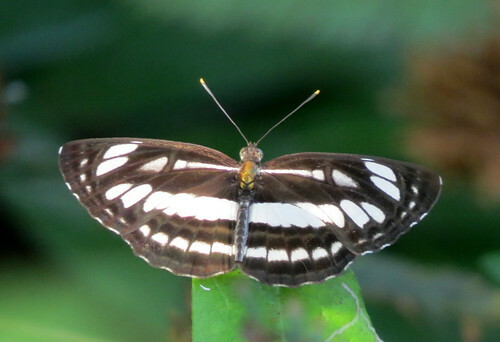 Apart from many endemic birds , several trees also endemic to the Western Ghats, butterflies, wildflowers, insects and other creatures were sighted (see photos below). 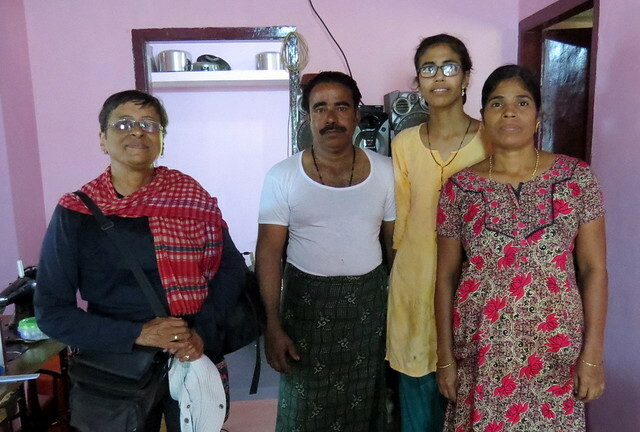 The ladies were put up in the homes of the local residents, who were very hospitable. One of the impressive features of the fest was that not only was it conducted on a tight budget, but there was no sense of heirarchy amongst the organizers. Every one pitched in to do whatever tasks were required, whether it was setting up a screen, serving the food, or arranging the chairs in the hall. 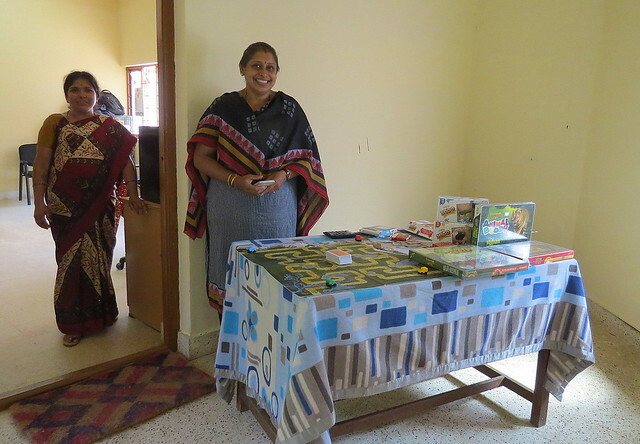 It made for a very homely, pleasant atmosphere, and the visitors also were able to do their bit. Another great feature was that no plastic was used in the course of the meals; each person washed the stainless steel plate, glass or cup that s/he used. 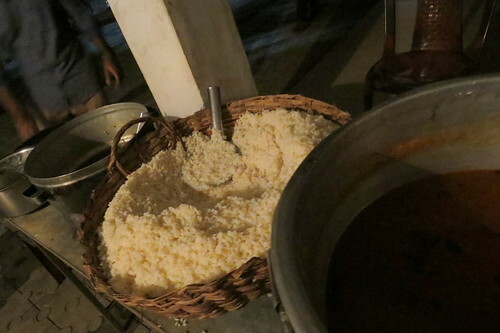 The meals were traditional and were delicious. 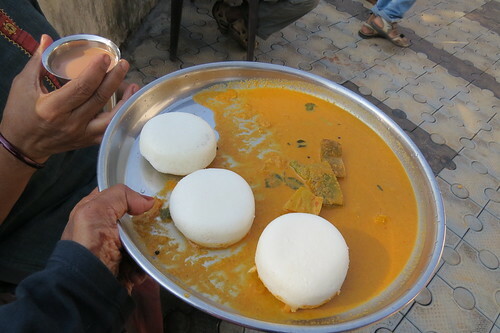 Breakfast of iddlis, sambhar and chai. 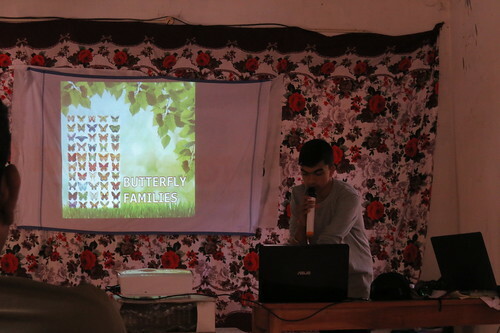 After breakfast, the gathering settled down to watch some presentations on Odonates (Dragonflies and Damselflies), and Butterflies. 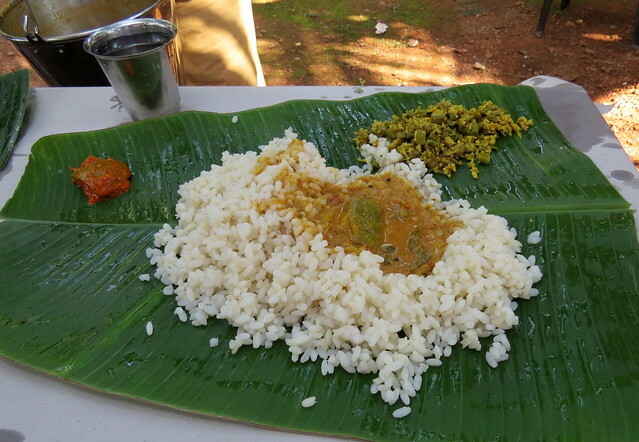 After this the participants were treated to lunch at the Gram Panchayat President’s home. 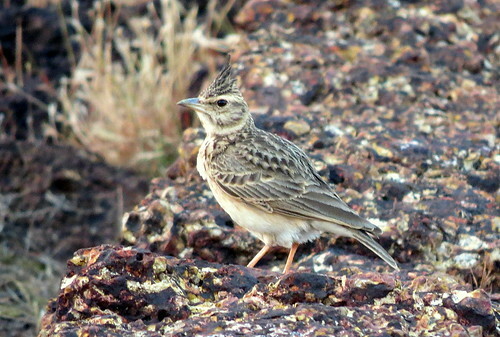 Full of the wonderful sightings they had enjoyed, and the new friendships they had formed, the birders dispersed. 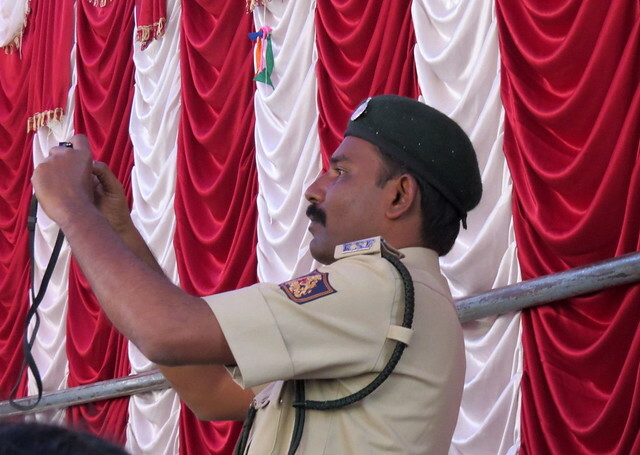 The District Collector, Dr Sajith Babu, participated enthusiastically in the Fest. 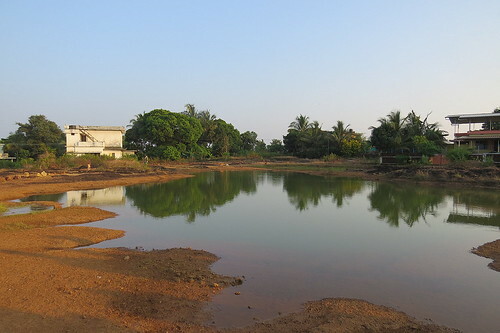 He promised to spare the laterite/grassland from human-centric “development”. 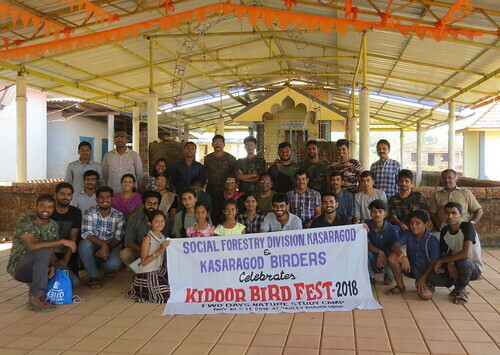 This makes it possible that from next year, the Kidoor Bird Fest will become a larger, well-sponsored event, attracting birders from further afield. 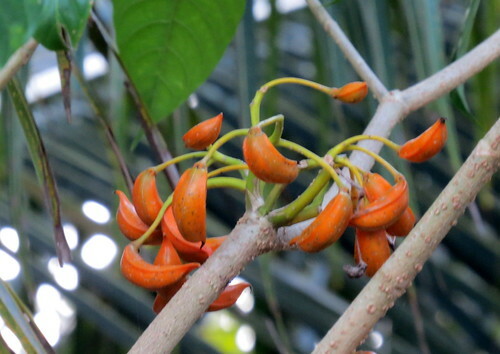 Curved flower or Woody Chassilia. Porcupine quill found on the ground. 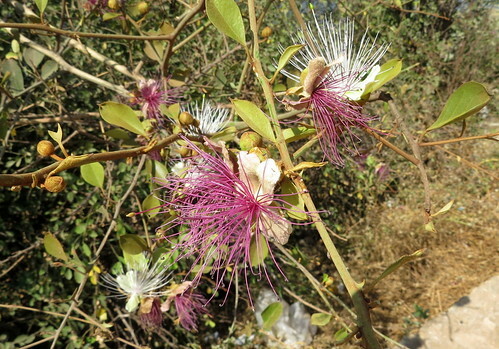 Nag Kuda Tree (Tabernaemontana alternifolia). 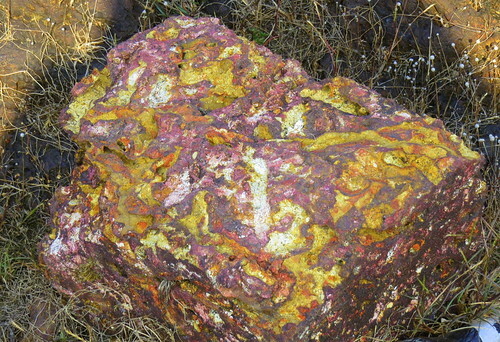 Beauty of the laterite rock. All photographs by me, unless otherwise credited. Sometimes the shadow is just as interesting as the substance. conducted at Kathalaya, BTM Layout, Bangalore, on 23rd November 2018. 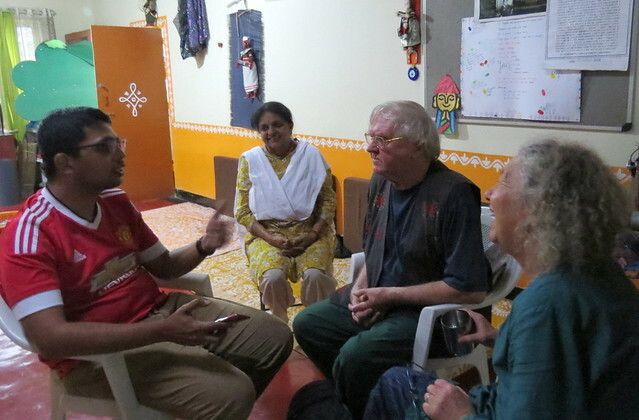 Nikhil from the Hindu interviews Michael and Wendy, while Geeta looks on. Wendy, therefore, describes herself as a “maker”. Whether it is the puppets themselves, or the proscenium on which they act out the story that Michael tells, they are all her own creations. Michael takes up the story, from the viewpoint of telling the tale. “The puppets themselves don’t talk, in our shows,” he explains. It’s the audience’s minds and imagination, he says, that fills up the details: “The mind has to fill in the other things.” “I see the story in my inner mind,” he adds. Both he and Wendy sometimes improvise as they go along. The occasional tussles of each wanting to do something different, and the resulting compromises, make for interesting theatre! 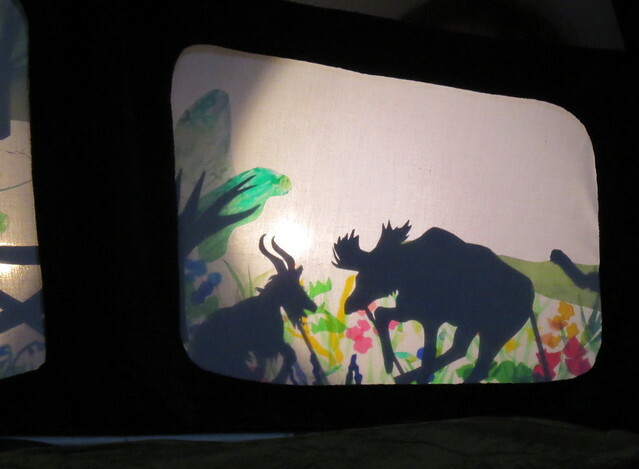 What is the longest shadow puppet theatre they have staged? Michael talks of the many tales he’s picked up all over…the Icelandic and Irish mythology, the tales from the Ramayana and the Mahabharata, and the Old English folklore. Their story of Beowulf is about an hour long, Michael says, as is the production of “Into a New Time”. He mentions tales based on the Sargasso Sea. Though the content could be very adult, he explains, he finds that it’s the adults who are most often captivated by the simplest of tales. “It’s been 31 years of an amazing journey with the stories and Wendy’s puppets,” he says. He describes himself, smilingly, as a “wordsmith”, who spins and relates the tale that Wendy brings forth with her puppets. I made a Green Knight puppet with a giant head, with creepers and plants growing out of his face, ears and all…and the puppet had to be beheaded in the course of the story! “Velcro came in handy!” she laughs. All the pupppets only monochrome shadows? “Oh, no, you just saw the green grass, the coloured flowers and the other things I created as the stage,” explains Wendy. “I use anything, such as glass paper, that is translucent and will let the light through. Sometimes the mixture of colours gets me interesting combination, sometimes the pigments merge into black.” She also uses coloured lights as well, to enhance the silhouettes. How does Wendy take care of the puppets? She laughs. Her craft, she says, is very much “of the time”, and the puppets can disintegrate into their component parts or, as happened with one giant puppet, get composted! 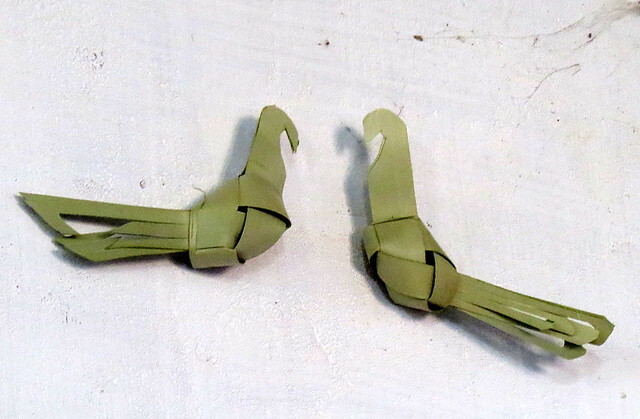 Fabric, willow, glue, ratafia…she uses materials that can decompose. For the workshop, Wendy has brought along a puppet stage, with three panels, and specially devised lighting. She must have this, as daylight cannot be focused sharply on her little stage. 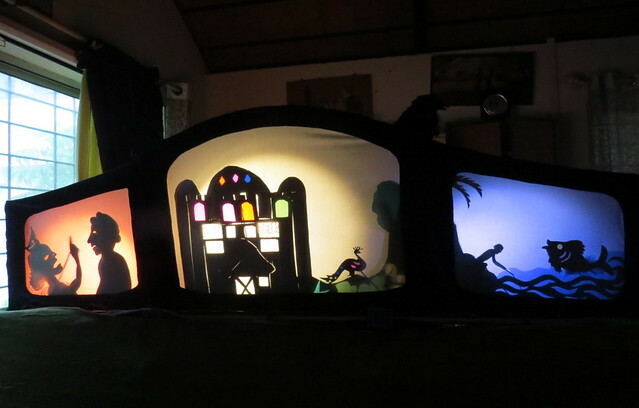 She’s also created a small mobile stage that can be slung across the story-teller’s shoulders and secured at the waist, so that the story teller can move round while staging the shadow puppet show. 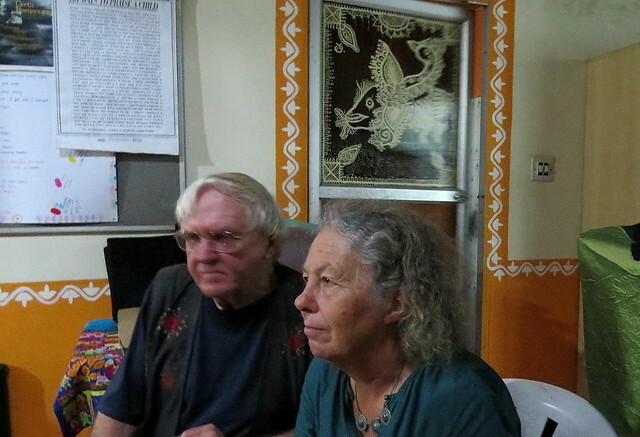 On their first visit to India, at the invitation of Geeta Ramanujam of Kathalaya,this couple from Devon seems very much at ease. 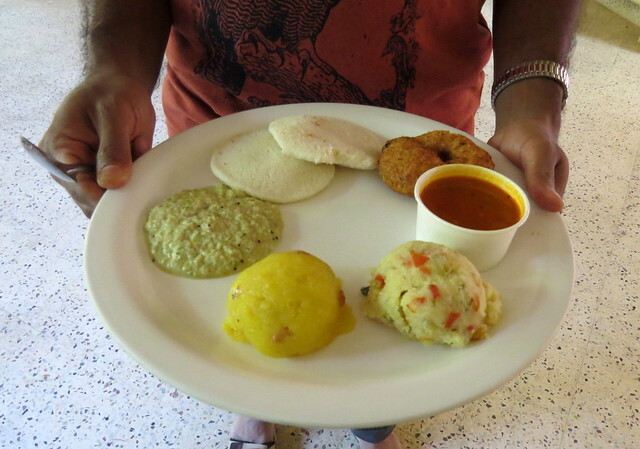 Michael tries out a vada with chutney, and interacts with the ten women, from very diverse backgrounds, who have come to participate in the workshop. 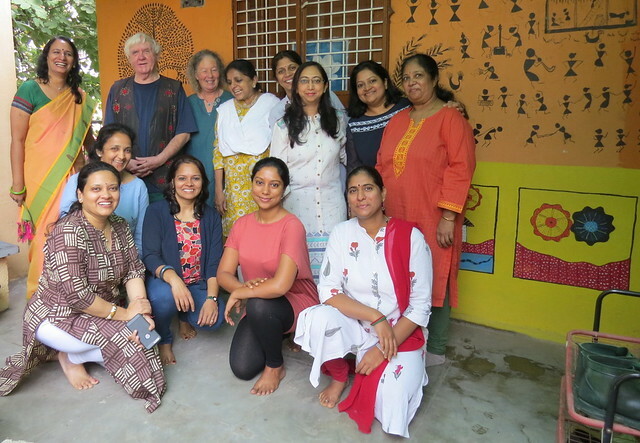 Anu, Shalini, Rakhi, Savita, Shirin, Archana, Anshul, Rohini, Pavitra and Anusha are learning a bit of this art and craft and creating their own shadow puppet theatre…an exciting prospect for them. We wish Michael and Wendy success with their first foray into our city and country, with their spinning of tales and creation of a world of the imagination. 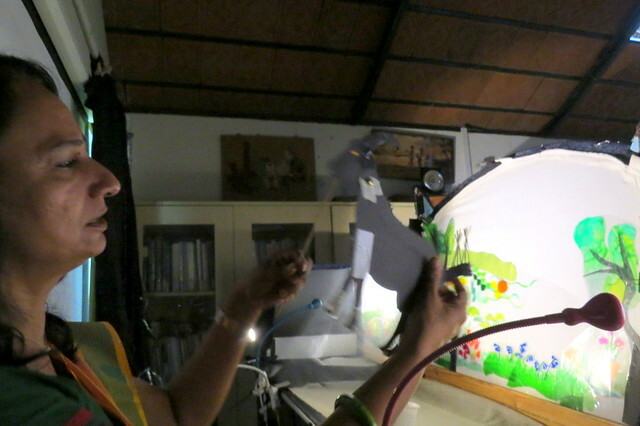 Shadow puppetry Show – Geeta Ramanujam, Michael and Wendy Dacre UK. 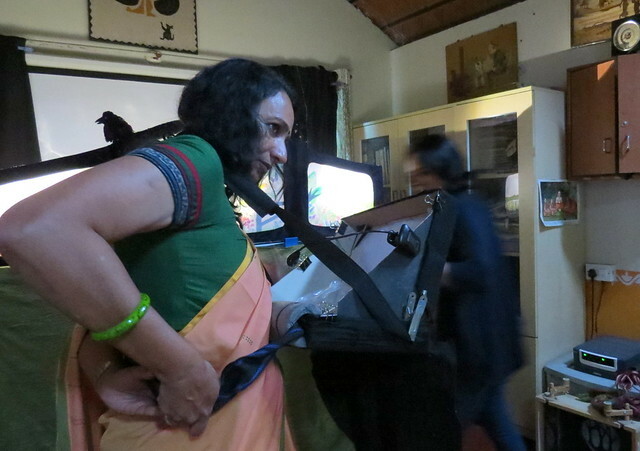 There will be another performance at 5.30 to 7.pm at Courtyard Koota, Good Earth, Kengeri, on the same day. Or you can call 8277389840 for more details. 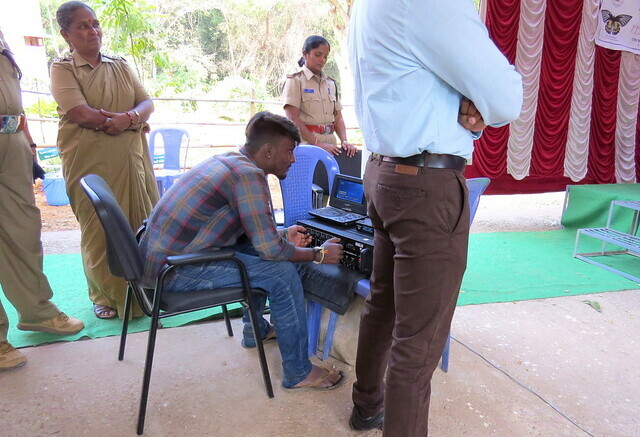 I was about to write something about this event for my blog, and realized my official report for the Karnataka Forest Dept would do just as well! The Karwar Swift, not very common. 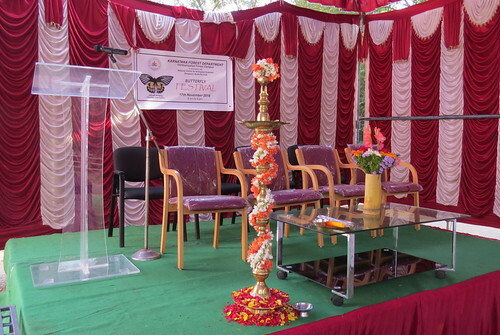 The second Butterfly Festival at Doresanipalya Forest Research Station, celebrated on 17th November, 2018, was very successful. 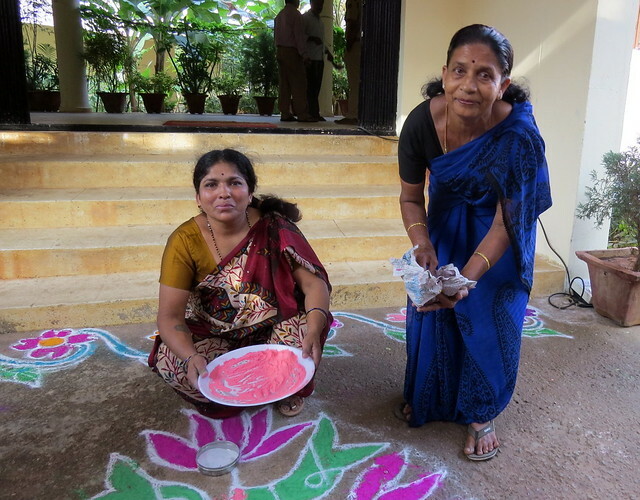 These ladies, making the rangoli, brought as much of colour as the butterflies did, to the event. Though limitations on the space available at the venue, in terms of the hall for presentations, resulted in the event not being open to the public at large, a gathering of more than 150 people in total, with a number of casual visitors, ensured a good attendance. 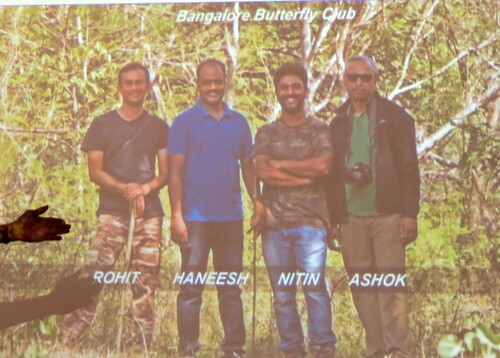 The event was conducted by the Karnataka Forest Department (KFD) in association with Bangalore Butterfly Club (BBC) and National Centre for Biological Sciences (NCBS). 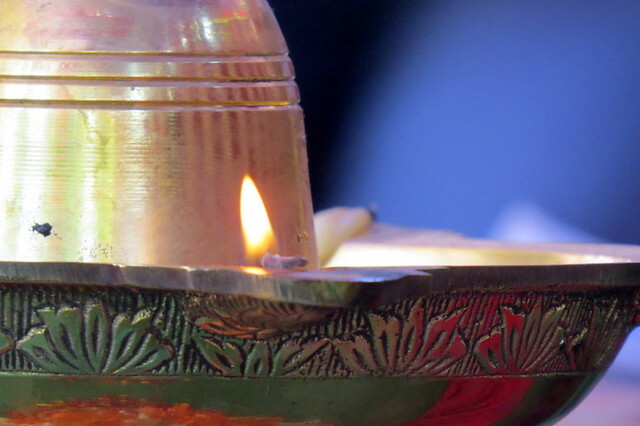 The flame that was lit. 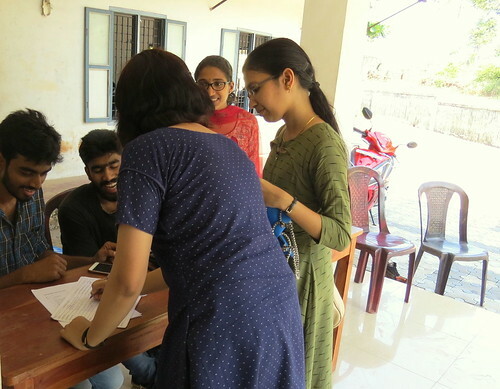 Everyone gathered in the morning and participants signed their names in the register. 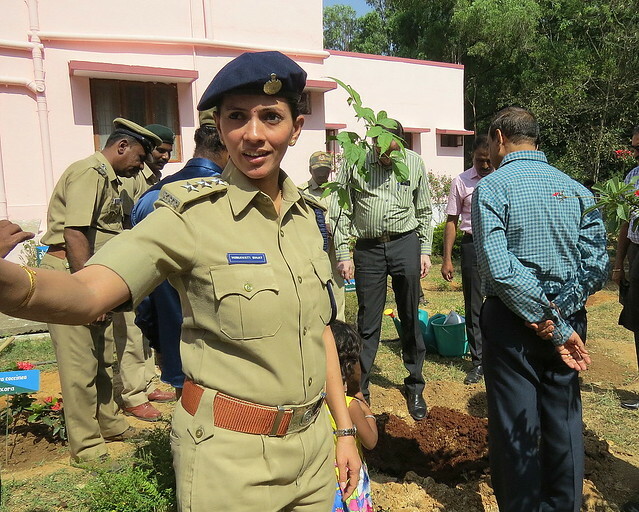 There was planting of some butterfly-friendly species of plants and trees, by several KFD personnel. 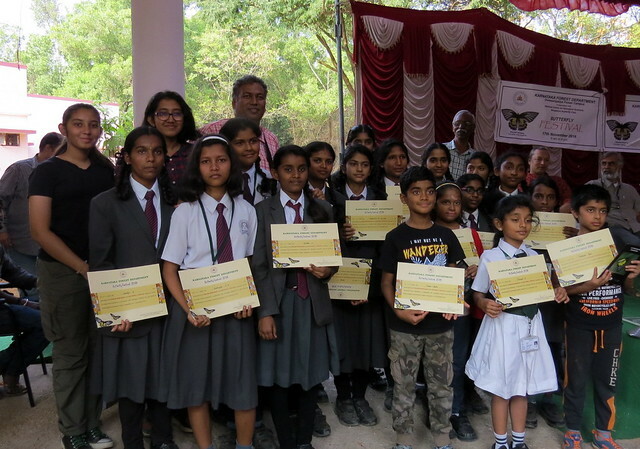 After a delicious breakfast, the children from Janak Academy, and the participants, went on butterfly walks, conducted by various members of BBC. 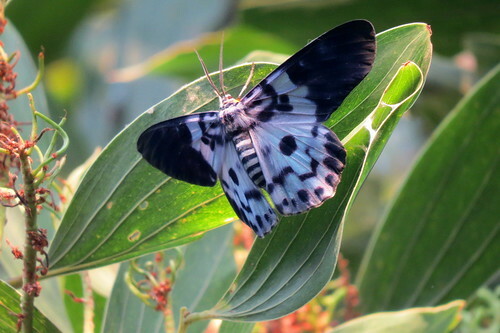 Many butterflies, and other interesting living beings and creatures, were observed. 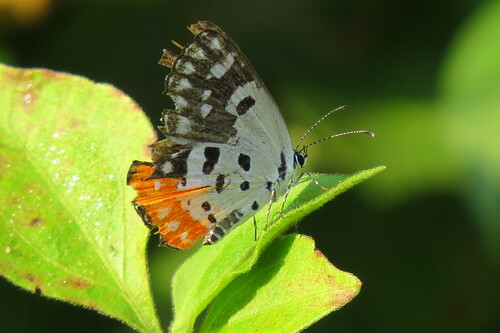 When everyone returned, some freshly-eclosed (just emerged from pupae) butterflies, such as Crimson Rose, Common Lime, Baronets, and others were released, to the delight of all present. This release, suggested by the outgoing APCCF, Sri Dilip Das, was spectacular, drawing exclamations from the audience. Smt Pushpalatha B K, RFO (Utilization), sang a melodious prayer. Sri Subba Rao, ACF,Seed Unit , was the master of ceremonies, compering the event and introducing the various guests to the audience. Sri Jagannath, DCF, Social Forestry (Research), Bangalore, opened the proceedings by welcoming the distinguished guests on the podium: Sri Sanjay Hosur, IFS, APCCF (R&U), Sri Punati Sridhar, IFS, PCCF (HoFF), Sri Sanjai Mohan, IFS, PCCF, and MD, KFDC, Sri Jayaram, IFS, PCCF (Wildlife), and Sri Vinay Kumar from EMPRI. Dr Krushnamegh Kunte, Associate Professor, NCBS, was also on the podium. 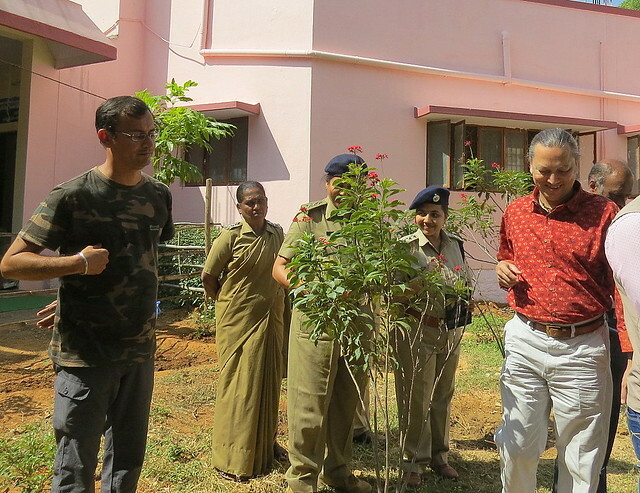 Sri Rohit and Dr KK (Dr Krushnamegh Kunte) at the tree-planting. Everyone admired the stage decoration. 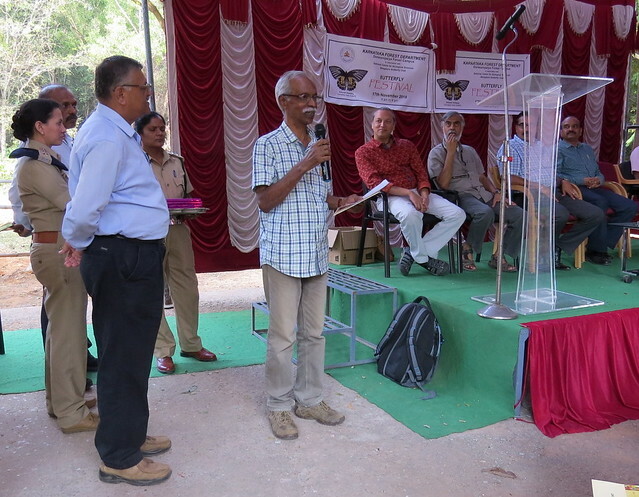 Sri Manjunath C Tambakad, IFS, CCF (Research) Bengaluru, welcomed the gathering. The other guests also spoke, stressing the need for conservation, and expressing the hope that the festival takes on a national hue from next year. 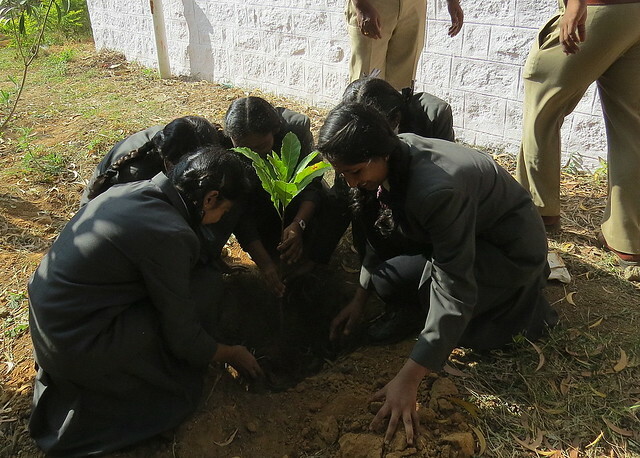 He appreciated the event and expressed his hope that sensitizing the children at an early stage would lead to their playing a bigger role in conservation of forests for tomorrow. 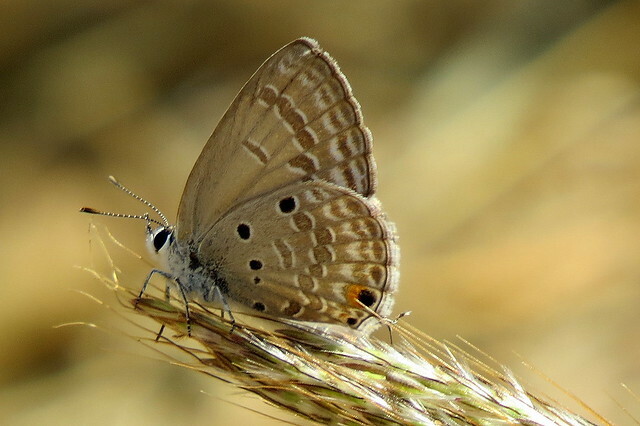 Sri Punati Sridhar hoped that Doresanipalya would be a role model for setting up of several tree parks consisting of butterfly larval host plants across Bangalore, which would serve as a haven for butterflies. 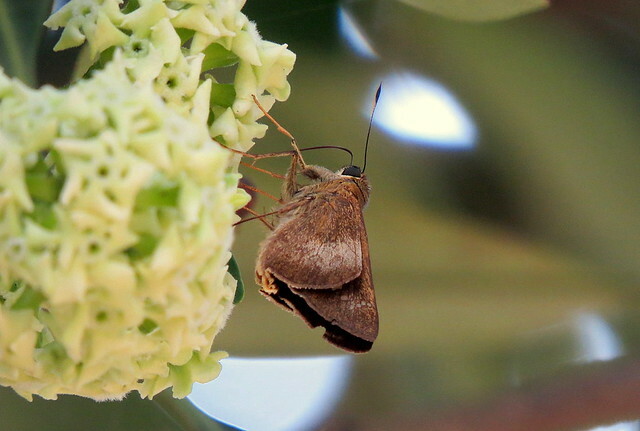 He appreciated the importance of organizing events like the butterfly festival as a step towards conservation of butterflies and bees, which, he said, were critical for pollination, and by extension, for the survival of life on earth. 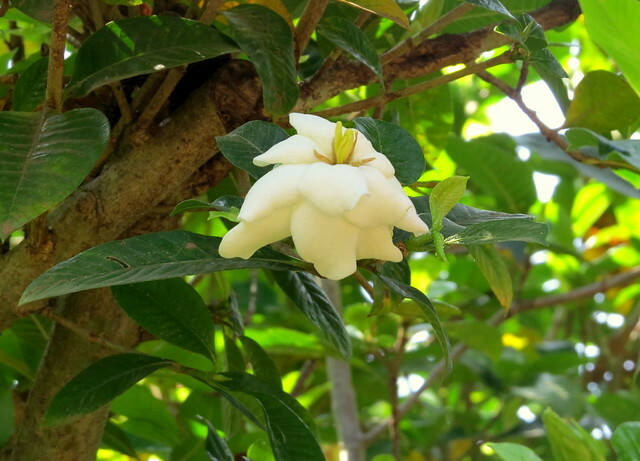 Kum Snigdha sang a beautiful song on butterflies, “Patharagitti Pakka”, on butterflies, by D R Bendre. 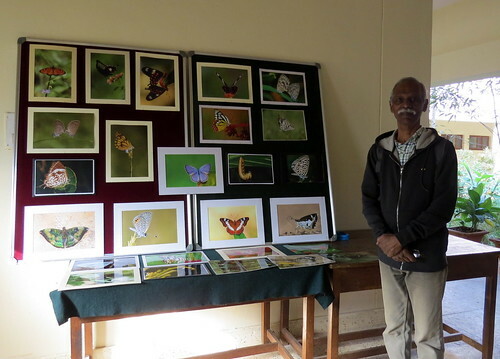 In the hall of the KFD office, three presentations were held: Dr Krushnamegh Kunte spoke about butterfly research and citizens’ initiatives in conservation; Sri S Karthikeyan, Chief Naturalist, Jungle Lodges and Resorts (JLR) spoke about butterfly diversity in India, and Sri Nagraj Veeraswami, a member of BBC, showed the audience the many butterflies that he has photographed in the Doresanipalya campus, with an erudite commentary by Sri Ashok Sengupta, one of the founder-members of BBC. 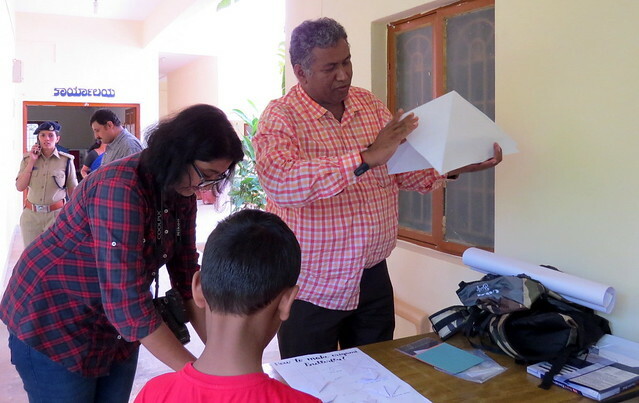 and an origami workshop, conducted by Sri Seby Manalel and Kum Arpitha Bhat. The children, and some of the adults, too, enjoyed these activities. There was also a counter for playing games from “Kadoo”, where many people were seen enjoying themselves. 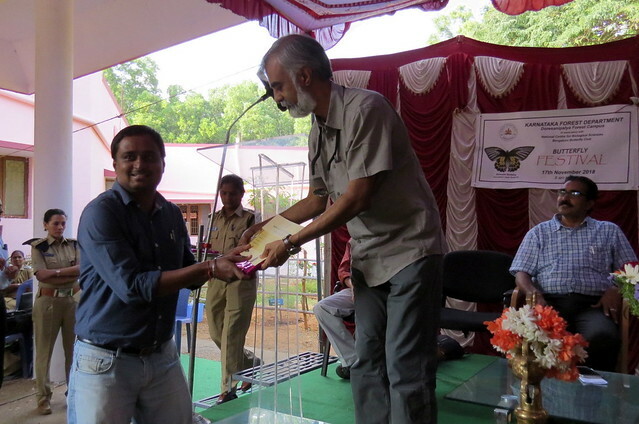 Dr Krushnamegh Kunte donated some of the butterfly brochures (a guide to the butterflies of Bangalore) designed by NCBS to the KFD for their reference, and announced that NCBS would also donate the brochures to any schools that needed them. 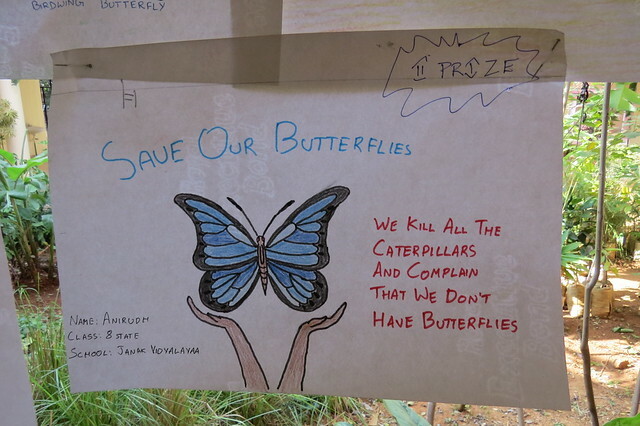 Sri Rohit Girotra, another of the founding members of BBC, spoke about how the festival took shape, and his hopes for the future of both the event and the butterflies of Bangalore. The audience again gathered for the prize-giving and closing ceremonies. Dr Krushnamegh Kunte, Sri S Karthikeyan, and Sri Nagraj Veeraswami were thanked for their presentations. and the certificates for the origami workshop, the photography display, and general participation were given out. The sound engineer did a good job, too. The teachers from Janak Academy expressed their appreciation of the event and the opportunity to have the students participate. A formal vote of thanks concluded the proceedings, and the gathering adjourned for lunch, dispersing afterwards with happy memories of the festival. What brought this on? 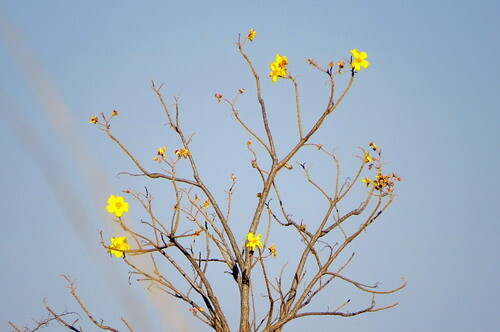 A photo of mine in the Hindu has been credited to Deepa Menon!